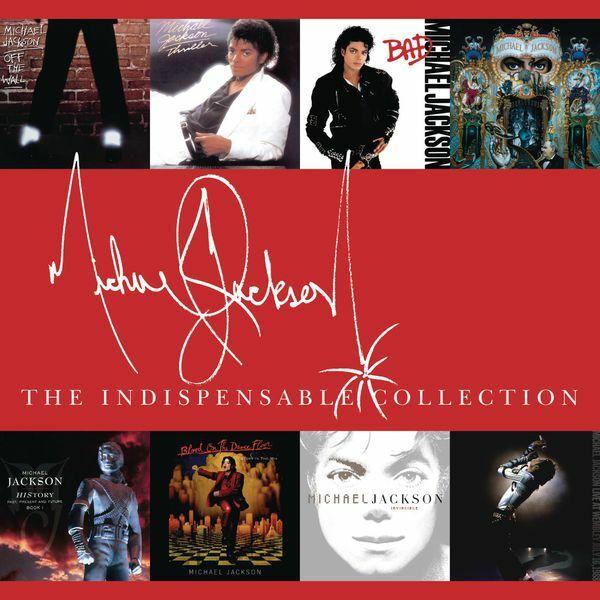 Michael Jackson, Associated Performer, Main Artist, Percussion - Quincy Jones, Producer - Michael J. Jackson, Composer, Lyricist - Jim Gilstrap - Augie Johnson - Mortonette Jenkins - Paulette McWilliams - Zedric Williams - David Williams, Guitar - Marlo Henderson, Guitar - Randy Jackson, Percussion - Richard Heath, Percussion - Paulinho Da Costa, Percussion - John Robinson, Drums - Greg Phillinganes, Piano - Louis Johnson, Bass - Larry Williams, Alto Saxophone, Flute, Tenor Saxophone - Kim Hutchcroft, Alto Saxophone, Baritone Saxophone, Flute - The Seawind Horns, Horn - Jerry Hey, Trumpet - Gary Grant, Trumpet - William Reichenbach, Trombone Copyright : (P) 1979 MJJ Productions Inc.
Michael Jackson, Associated Performer, Main Artist - Quincy Jones, Producer - R. Temperton, Composer, Lyricist - David Williams, Guitar - Marlo Henderson, Guitar - John Robinson, Drums - DAVID "HAWK" WOLINSKI, Piano - Greg Phillinganes, Synthesizer - Michael Boddicker, Synthesizer - Bobby Watson, Bass - Larry Williams, Alto Saxophone, Flute, Tenor Saxophone - Kim Hutchcroft, Alto Saxophone, Baritone Saxophone, Flute - The Seawind Horns, Horn - Jerry Hey, Trumpet - Gary Grant, Trumpet - William Reichenbach, Trombone Copyright : (P) 1979 MJJ Productions Inc.
Michael Jackson, Arranger, Associated Performer, Composer, Co-Producer, Lyricist, Main Artist, Percussion, Vocal Arranger - Quincy Jones, Producer - David Williams, Guitar - Steve Conger, Assistant Engineer - Phil Upchurch, Guitar - Rick Ash, Assistant Engineer - ED CHERNEY, Assistant Engineer - John Robinson, Drums, Percussion - Erik Zobler, Assistant Engineer - Paulinho Da Costa, Percussion - Jim Fritzpatrick, Assistant Engineer - Mitch Gibson, Assistant Engineer - Frank D'Amico, Assistant Engineer - Greg Phillinganes, Piano - Bernie Grundman, Mastering Engineer - Louis Johnson, Bass - Bruce Swedien, Recording Engineer - Larry Williams, Alto Saxophone, Flute, Tenor Saxophone - Kim Hutchcroft, Alto Saxophone, Baritone Saxophone, Flute - Jerry Hey, Trumpet - Gary Grant, Trumpet - William Reichenbach, Trombone Copyright : (P) 1979 MJJ Productions Inc.
Michael Jackson, Associated Performer, Composer, Co-Producer, Lyricist, Main Artist, Vocal Arranger - Quincy Jones, Producer - Louis Johnson, Bass, Composer, Lyricist - Jim Gilstrap - Steve Conger, Assistant Engineer - Augie Johnson - Rick Ash, Assistant Engineer - Mortonette Jenkins - ED CHERNEY, Assistant Engineer - Ben Wright, Arranger - Paulette McWilliams - Erick Zobler, Assistant Engineer - Zedric Williams - Jim Fritzpatrick, Assistant Engineer - "Wah Wah" Watson, Guitar - Mitch Gibson, Assistant Engineer - Frank D'Amico, Assistant Engineer - Paulinho Da Costa, Percussion - Bernie Grundman, Mastering Engineer - John Robinson, Drums - Bruce Swedien, Recording Engineer - Larry Williams, Alto Saxophone, Flute, Tenor Saxophone - Kim Hutchcroft, Alto Saxophone, Baritone Saxophone, Flute - The Seawind Horns, Horn - Jerry Hey, Trumpet - Gary Grant, Trumpet - William Reichenbach, Trombone Copyright : (P) 1979 MJJ Productions Inc.
Michael Jackson, Associated Performer, Main Artist - R. Temperton, Composer, Lyricist - Quincy Jones, Producer Copyright : (P) 1979 MJJ Productions Inc.
Michael Jackson, Associated Performer, Main Artist, Vocal Arranger - Quincy Jones, Producer, Vocal Arranger - Mccartney, Composer, Lyricist - Steve Conger, Assistant Engineer - "Wah Wah" Watson, Guitar - Rick Ash, Assistant Engineer - Marlo Henderson, Guitar - ED CHERNEY, Assistant Engineer - John Robinson, Drums - Erik Zobler, Assistant Engineer - Greg Phillinganes, Piano - Jim Fritzpatrick, Assistant Engineer - David Foster, Synthesizer - Mitch Gibson, Assistant Engineer - George Duke, Synthesizer - Frank D'Amico, Assistant Engineer - Bernie Grundman, Mastering Engineer - Louis Johnson, Bass - Bruce Swedien, Recording Engineer - Larry Williams, Alto Saxophone, Flute, Tenor Saxophone - Kim Hutchcroft, Alto Saxophone, Baritone Saxophone, Flute - The Seawind Horns, Horn - Jerry Hey, Trumpet - Gary Grant, Trumpet - William Reichenbach, Trombone Copyright : (P) 1979 MJJ Productions Inc.
Michael Jackson, Associated Performer, Main Artist - Quincy Jones, Producer - Tom Bahler, Composer, Lyricist - Larry Carlton, Guitar - Greg Phillinganes, Piano - Louis Johnson, Bass Copyright : (P) 1979 MJJ Productions Inc.
Michael Jackson, Associated Performer, Main Artist - Quincy Jones, Producer - Stevie Wonder, Composer, Lyricist - Susaye Greene-Brown, Composer, Lyricist - Paulinho Da Costa, Percussion - Steve Conger, Assistant Engineer - John Robinson, Drums - Rick Ash, Assistant Engineer - Greg Phillinganes, Piano, Synthesizer - ED CHERNEY, Assistant Engineer - Erik Zober, Assistant Engineer - Johnny Mandel, Arranger - Jim Fitzpatrick, Assistant Engineer - Louis Johnson, Bass - Mitch Gibson, Assistant Engineer - Bernie Grundman, Mastering Engineer - Larry Williams, Alto Saxophone, Flute, Tenor Saxophone - Kim Hutchcroft, Alto Saxophone, Baritone Saxophone, Flute - Bruce Swedien, Recording Engineer - The Seawind Horns, Horn - Jerry Hey, Trumpet - Gary Grant, Trumpet - William Reichenbach, Trombone Copyright : (P) 1979 MJJ Productions Inc.
Michael Jackson, Associated Performer, Main Artist - Quincy Jones, Producer, Vocal Arranger - Carole Bayer Sager, Composer, Lyricist - David Foster, Composer, Lyricist, Synthesizer - Patti Austin - Steve Conger, Assistant Engineer - Rick Ash, Assistant Engineer - ED CHERNEY, Assistant Engineer - Erik Zobler, Assistant Engineer - "Wah Wah" Watson, Guitar - Jim Fitzpatrick, Assistant Engineer - Marlo Henderson, Guitar - Tom Bahler, Vocal Arranger - Mitch Gibson, Assistant Engineer - John Robinson, Drums - Frank D'Amico, Assistant Engineer - Greg Phillinganes, Piano - Bernie Grundman, Mastering Engineer - Bruce Swedien, Recording Engineer - Louis Johnson, Bass - Larry Williams, Alto Saxophone, Flute, Tenor Saxophone - Kim Hutchcroft, Alto Saxophone, Baritone Saxophone, Flute - The Seawind Horns, Horn - Jerry Hey, Trumpet - Gary Grant, Trumpet - William Reichenbach, Trombone Copyright : (P) 1979 MJJ Productions Inc.
Michael Jackson, Associated Performer, Main Artist - Quincy Jones, Producer - Rod Temperton, Composer, Lyricist - David Williams, Guitar - Marlo Henderson, Guitar - Paulinho Da Costa, Percussion - John Robinson, Drums - Greg Phillinganes, Piano - Louis Johnson, Bass - Larry Williams, Alto Saxophone, Flute, Tenor Saxophone - Kim Hutchcroft, Alto Saxophone, Baritone Saxophone, Flute - The Seawind Horns, Horn - Jerry Hey, Trumpet - Gary Grant, Trumpet - William Reichenbach, Trombone Copyright : (P) 1979 MJJ Productions Inc.
Michael Jackson, Arranger, Associated Performer, Main Artist - Quincy Jones, Producer - Michael J. Jackson, Composer, Lyricist - Jerry Hey, Arranger, Trumpet - Bunny Hull - James Ingram - Becky Lopez - Julia Waters - Maxine Waters - Oren Waters - Louis Johnson, Bass - David Williams, Guitar - Gary Grant, Trumpet - Bill Wolfer, Synthesizer - Larry Williams, Flute, Saxophone - Paulinho Da Costa, Percussion - Michael Boddicker, Synthesizer - Greg Phillinganes, Synthesizer - Bill Reichenbach, Trombone Copyright : (P) 1982 MJJ Productions, Inc.
Michael Jackson, Associated Performer, Main Artist, Vocal Arranger - R. Temperton, Composer, Lyricist - Jerry Hey, Arranger, Trumpet - Rod Temperton, Vocal Arranger - David Williams, Guitar - Paulinho Da Costa, Percussion - Chancler, Ndugu, Drums - Greg Phillinganes, Keyboards, Synthesizer - Michael Boddicker, Synthesizer - David Paich, Synthesizer - Louis Johnson, Bass - Larry Williams, Flute, Saxophone - Gary Grant, Trumpet - Bill Reichenbach, Trombone - Quincy Jones, Producer - Matt Forger, Engineer, Recording Engineer - Steve Bates, Assistant Engineer - Mark Ettel, Assistant Engineer - Bernie Grundman, Mastering Engineer - Bruce Swedien, Recording Engineer - Humberto Gatica, Recording Engineer Copyright : (P) 1982 MJJ Productions Inc.
Michael Jackson, Associated Performer, Main Artist, Vocal Arranger - Paul McCartney, Associated Performer - Michael Jackson with Paul McCartney, Associated Performer - Michael J. Jackson, Composer, Lyricist - Quincy Jones, Producer, Vocal Arranger - Dean Parks, Guitar - Steve Lukather, Guitar - Jeff Porcaro, Drums - David Paich, Piano - David Foster, Synthesizer - Louis Johnson, Bass - Matt Forger, Engineer, Recording Engineer - Steve Bates, Assistant Engineer - Mark Ettel, Assistant Engineer - Bernie Grundman, Mastering Engineer - Bruce Swedien, Recording Engineer - Humberto Gatica, Recording Engineer Copyright : (P) 1982 MJJ Productions Inc.
Michael Jackson, Associated Performer, Main Artist - Quincy Jones, Producer - Rod Temperton, Composer, Lyricist, Synthesizer - Vincent Price, Speaker - David Williams, Guitar - Greg Phillinganes, Synthesizer - Brian Banks, Synthesizer - Larry Williams, Flute, Saxophone - Jerry Hey, Trumpet - Gary Grant, Trumpet - Bill Reichenbach, Trombone Copyright : (P) 1982 MJJ Productions Inc.
Michael Jackson, Associated Performer, Main Artist - Quincy Jones, Producer - M.J.Jackson, Composer, Lyricist - Steve Lukather, Bass Guitar, Guitar - Bill Wolfer, Keyboards - Paul Jackson Jr., Guitar - Jeff Porcaro, Drums - Greg Phillinganes, Synthesizer - Steve Porcaro, Synthesizer Copyright : (P) 1982 MJJ Productions Inc.
Michael Jackson, Associated Performer, Main Artist - Michael J. Jackson, Composer, Lyricist - Quincy Jones, Producer - Ndugo Chancler, Drums - David Williams, Guitar - Bill Wolfer, Synthesizer - Greg Phillinganes, Synthesizer - GREG SMITH, Synthesizer - Louis Johnson, Bass Copyright : (P) 1982 MJJ Productions Inc.
Michael Jackson, Associated Performer, Main Artist - Quincy Jones, Producer - Matt Forger, Engineer, Recording Engineer - Bruce Swedien, Recording Engineer - Steve Porcaro, Arranger, Composer, Lyricist, Synthesizer - Humberto Gatica, Recording Engineer - Jeff Porcaro, Drums - John Bettis, Composer, Lyricist - Steve Bates, Assistant Engineer, Engineer - Steve Lukather, Arranger, Guitar - Paulinho Da Costa, Percussion - David Paich, Arranger, Synthesizer - Mark Ettel, Assistant Engineer - Bernie Grundman, Mastering Engineer Copyright : (P) 1982 MJJ Productions Inc.
Michael Jackson, Associated Performer, Main Artist - James Ingram, Arranger, Composer, Keyboards, Lyricist - Quincy Jones, Arranger, Composer, Lyricist, Producer - Howard Hewett - Paul Jackson Jr., Guitar - Chancler,Ndugu, Drums - Greg Phillinganes, Synthesizer - Louis Johnson, Bass - Matt Forger, Engineer, Recording Engineer - Steve Bates, Assistant Engineer - Mark Ettel, Assistant Engineer - Bernie Grundman, Mastering Engineer - Bruce Swedien, Recording Engineer - Humberto Gatica, Recording Engineer Copyright : (P) 1982 MJJ Productions Inc.
Michael Jackson, Associated Performer, Main Artist - R. Temperton, Composer, Lyricist - Rod Temperton, Arranger - Paul Jackson Jr., Guitar - Jeff Porcaro, Drums - David Paich, Synthesizer - Steve Porcaro, Synthesizer - Louis Johnson, Bass - Quincy Jones, Producer - Matt Forger, Engineer, Recording Engineer - Steve Bates, Assistant Engineer - Mark Ettel, Assistant Engineer - Bernie Grundman, Mastering Engineer - Bruce Swedien, Recording Engineer - Humberto Gatica, Recording Engineer Copyright : (P) 1982 MJJ Productions Inc.
Michael Jackson, Arranger, Associated Performer, Co-Producer, Main Artist, Percussion, Vocal Arranger - Michael J. Jackson, Composer, Lyricist - David Williams, Guitar - Christopher Currell, Arranger - Paulinho Da Costa, Percussion - Quincy Jones, Arranger, Producer - John Robinson, Drums - John Barnes, Synthesizer - Michael Boddicker, Synthesizer - Greg Phillinganes, Synthesizer - Kim Hutchcroft, Saxophone - Larry Williams, Saxophone - Gary Grant, Trumpet - Jerry Hey, Horn, Trumpet - Tom Coyne - Al Quaglieri, Producer - John Branca, Executive Producer - John McClain, Executive Producer - Antonio "L.A." Reid, Executive Producer Copyright : (P) 1987 MJJ Productions Inc.
Michael Jackson, Arranger, Associated Performer, Co-Producer, Main Artist, Vocal Arranger - M.J.Jackson, Composer, Lyricist - Eric Gale, Guitar - David Williams, Guitar - Ollie E. Brown, Percussion - Paulhino Da Costa, Percussion - John Robinson, Drums - John Barnes, Synthesizer - Michael Boddicker, Synthesizer - Greg Phillinganes, Synthesizer - Kim Hutchcroft, Saxophone - Larry Williams, Saxophone - Gary Grant, Trumpet - Jerry Hey, Horn, Trumpet - Tom Coyne - Al Quaglieri, Producer - John Branca, Executive Producer - John McClain, Executive Producer - Antonio "L.A." Reid, Executive Producer - Quincy Jones, Producer - Douglas Getschal, Drum Programmer Copyright : (P) 1987 MJJ Productions Inc.
Michael Jackson, Arranger, Associated Performer, Composer, Co-Producer, Lyricist, Main Artist - Bill Boltrell, Guitar - David Williams, Guitar - Quincy Jones, Arranger, Producer - Paulhino Da Costa, Percussion - Miko Brando, Drums - Ollie E. Brown, Drums - John Robinson, Drums - John Barnes, Synthesizer - Michael Boddicker, Synthesizer - Greg Phillinganes, Synthesizer - Kim Hutchcroft, Saxophone - Gary Grant, Trumpet - Jerry Hey, Horn, Trumpet - Tom Coyne - Al Quaglieri, Producer - John Branca, Executive Producer - John McClain, Executive Producer - Antonio "L.A." Reid, Executive Producer - Douglas Getschal, Drum Programmer Copyright : (P) 1987 MJJ Productions Inc.
Michael Jackson, Arranger, Associated Performer, Composer, Co-Producer, Main Artist, Vocal Arranger - Paulhino Da Costa, Percussion - Quincy Jones, Arranger, Producer - John Barnes, Arranger, Associated Performer, Synthesizer, Vocal Arranger - John Robinson, Drums - Michael Boddicker, Synthesizer - David Paich, Synthesizer - Larry Williams, Synthesizer - Jerry Hey, Horn - Caiphus Séménya - Tom Coyne - Al Quaglieri, Producer - John Branca, Executive Producer - John McClain, Executive Producer - Antonio "L.A." Reid, Executive Producer - Douglas Getschal, Drum Programmer Copyright : (P) 1987 MJJ Productions Inc.
Michael Jackson, Associated Performer, Co-Producer, Main Artist - Terry Britten, Arranger, Composer, Lyricist - Graham Lyle, Arranger, Composer, Lyricist - Stevie Wonder - Michael Landau, Guitar - Paulhino Da Costa, Percussion - Ollie E. Brown, Drums - Humberto Gatica, Drums - Quincy Jones, Arranger, Producer - Bruce Swedien, Drums - John Barnes, Arranger, Vocal Arranger - Michael Boddicker, Synthesizer - Rhett Lawrence, Synthesizer - Greg Phillinganes, Synthesizer - Larry Williams, Saxophone, Synthesizer - Kim Hutchcroft, Saxophone - Gary Grant, Trumpet - Jerry Hey, Horn, Trumpet - Tom Coyne - Al Quaglieri, Producer - John Branca, Executive Producer - John McClain, Executive Producer - Antonio "L.A." Reid, Executive Producer - Cornelius Mims, Drum Programmer Copyright : (P) 1987 MJJ Productions Inc.
Michael Jackson, Associated Performer, Co-Producer, Main Artist - John Barnes, Arranger, Synthesizer - Jerry Hey, Horn, Trumpet - Michael J. Jackson, Arranger, Composer, Lyricist - Paul Jackson Jr., Guitar - David Williams, Guitar - Rhett Lawrence, Synthesizer - Kim Hutchcroft, Saxophone - Larry Williams, Saxophone - Gary Grant, Trumpet - Tom Coyne - Al Quaglieri, Producer - John Branca, Executive Producer - John McClain, Executive Producer - Antonio "L.A." Reid, Executive Producer - Quincy Jones, Producer Copyright : (P) 1987 MJJ Productions Inc.
Michael Jackson, Associated Performer, Co-Producer, Main Artist - Siedah Garrett, Composer, Lyricist - Glen Ballard, Arranger, Composer, Lyricist, Other, Synthesizer - The Winans - Quincy Jones, Arranger, Other, Producer - Andrae Crouch, Vocal Arranger - Carvin Winans - Marvin Winans - Michael Winans - Ronal Winans - The Andrae Crouch Choir - Sandra Crouch - Maxi Anderson - Rose Banks - Geary Faggett - Vonciele Faggett - Andrew Gouche' - Linda Green - Francine Howard - Jean Johnson - Perry Morgan - DANN HUFF, Guitar - Greg Phillinganes, Keyboards - Randy Kerber, Synthesizer - The Andrae Crouch Chior, Associated Performer - Jerry Hey, Other - Tom Coyne - Al Quaglieri, Producer - John Branca, Executive Producer - John McClain, Executive Producer - Antonio "L.A." Reid, Executive Producer Copyright : (P) 1987 MJJ Productions Inc.
Michael Jackson, Associated Performer, Co-Producer, Main Artist - Siedah Garrett, Associated Performer, Featured Artist - Michael Jackson feat. Siedah Garrett, Associated Performer - Michael J. Jackson, Composer, Lyricist, Vocal Arranger - Quincy Jones, Arranger, Other, Producer - DANN HUFF, Guitar - John Barnes, Piano, Vocal Arranger - Paulhino Da Costa, Percussion - Ndugu Chancler, Drums - David Paich, Other, Synthesizer - Greg Phillinganes, Synthesizer - Nathan East, Bass - Tom Coyne - Al Quaglieri, Producer - John Branca, Executive Producer - John McClain, Executive Producer - Antonio "L.A." Reid, Executive Producer Copyright : (P) 1987 MJJ Productions Inc.
Michael Jackson, Arranger, Associated Performer, Co-Producer, Main Artist, Other, Vocal Arranger - Michael J. Jackson, Composer, Lyricist - John Barnes, Arranger, Other, Strings, Synthesizer - Paul Jackson Jr., Guitar - David Williams, Guitar - Jerry Hey, Composer - John Robinson, Drums - Michael Boddicker, Synthesizer - RANDY WALDMAN, Synthesizer - Quincy Jones, Other, Producer - Tom Coyne - Al Quaglieri, Producer - John Branca, Executive Producer - John McClain, Executive Producer - Antonio "L.A." Reid, Executive Producer Copyright : (P) 1987 MJJ Productions Inc.
Michael Jackson, Arranger, Associated Performer, Co-Producer, Main Artist, Vocal Arranger - Michael J. Jackson, Composer, Lyricist - Bill Bottrell, Drums - John Barnes, Arranger, Synthesizer - John Robinson, Drums - Bruce Swedien, Drums - David Williams, Guitar - Kim Hutchcroft, Saxophone - Larry Williams, Saxophone - Michael Boddicker, Synthesizer - Christopher Currell, Synthesizer - Gary Grant, Trumpet - Jerry Hey, Horn, Trumpet - Tom Coyne - Al Quaglieri, Producer - John Branca, Executive Producer - John McClain, Executive Producer - Antonio "L.A." Reid, Executive Producer - Quincy Jones, Producer Copyright : (P) 1987 MJJ Productions Inc.
Michael Jackson, Arranger, Associated Performer, Co-Producer, Main Artist, Vocal Arranger - Michael J. Jackson, Composer, Lyricist - Paul Jackson Jr., Guitar - Larry Williams, Drum Programmer, Synthesizer - Greg Phillinganes, Synthesizer - Tom Coyne - Al Quaglieri, Producer - John Branca, Executive Producer - John McClain, Executive Producer - Antonio "L.A." Reid, Executive Producer - Quincy Jones, Producer Copyright : (P) 1987 MJJ Productions Inc.
Michael Jackson, Associated Performer, Composer, Lyricist, Main Artist, Producer - Bruce Swedien, Composer, Lyricist, Producer - Rene Moore, Composer, Lyricist - Teddy Riley, Composer, Lyricist, Producer Copyright : (P) 1991 MJJ Productions Inc.
Michael Jackson, Associated Performer, Executive Producer, Main Artist, Producer, Vocal Arranger - Teddy Riley, Composer, Guitar, Keyboards, Lyricist, Recording Engineer, Synthesizer - Bruce Swedien, Co-Producer, Recording Engineer - Bernard Belle, Composer, Lyricist - Paul Jackson Jr., Guitar - DAVE WAY, Engineer, Recording Engineer - Jean-Marie Horvat, Engineer, Recording Engineer - Richard Cottrell, Engineer - Kevin Gilbert, Engineer - Wayne Cobham, Programmer - Bernie Grundman, Mastering Engineer Copyright : (P) 1991 MJJ Productions Inc.
Michael Jackson, Associated Performer, Executive Producer, Main Artist, Producer, Vocal Arranger - M.J.Jackson, Composer, Lyricist - Bruce Swedien, Co-Producer, Recording Engineer - T. Riley, Composer, Lyricist - Teddy Riley, Keyboards, Recording Engineer, Synthesizer - DAVE WAY, Engineer, Recording Engineer - Jean-Marie Horvat, Engineer - Richard Cottrell, Engineer - Kevin Gilbert, Engineer - Wayne Cobham, Programmer - Bernie Grundman, Mastering Engineer Copyright : (P) 1991 MJJ Productions Inc.
Michael Jackson, Associated Performer, Composer, Executive Producer, Lyricist, Main Artist, Producer, Vocal Arranger - Bruce Swedien, Co-Producer, Recording Engineer - Teddy Riley, Composer, Keyboards, Lyricist, Recording Engineer, Synthesizer - Aqil Davidson, Composer, Lyricist, Rap - DAVE WAY, Engineer, Recording Engineer - Jean-Marie Horvat, Engineer - Richard Cottrell, Engineer - Markell Davidson, Rap - Kevin Gilbert, Engineer - Wayne Cobham, Programmer - Bernie Grundman, Mastering Engineer Copyright : (P) 1991 MJJ Productions Inc.
Michael Jackson, Associated Performer, Main Artist, Producer - M.J.Jackson, Composer, Lyricist - T. Riley, Composer, Lyricist - B. Belle, Composer, Lyricist - Teddy Riley, Keyboards, Synthesizer Copyright : (P) 1991 MJJ Productions Inc.
Michael Jackson, Associated Performer, Composer, Executive Producer, Lyricist, Main Artist, Producer, Vocal Arranger - Bruce Swedien, Co-Producer, Recording Engineer - Teddy Riley, Composer, Keyboards, Lyricist, Recording Engineer, Synthesizer - DAVE WAY, Engineer, Recording Engineer - Jean-Marie Horvat, Engineer - Richard Cottrell, Engineer - Kevin Gilbert, Engineer - Wayne Cobham, Programmer - Bernie Grundman, Mastering Engineer Copyright : (P) 1991 MJJ Productions Inc.
Michael Jackson, Associated Performer, Executive Producer, Main Artist, Producer, Vocal Arranger - Christa Larson - Michael J. Jackson, Composer, Lyricist - Marty Paich, Arranger, Composer, Conductor, Orchestrator - Bruce Swedien, Co-Producer, Recording Engineer - DAVE WAY, Engineer - Jean-Marie Horvat, Engineer - Bryan Loren, Percussion - Jeff Porcaro, Drums - David Paich, Keyboards, Synthesizer - John Bähler, Vocal Arranger - Richard Cottrell, Engineer - Brad Buxer, Keyboards - Kevin Gilbert, Engineer - Michael Boddicker, Synthesizer - Bernie Grundman, Mastering Engineer - Steve Porcaro, Synthesizer - Matt Forger, Recording Engineer - Ashley Farell, Associated Performer Copyright : (P) 1991 MJJ Productions Inc.
Michael Jackson, Associated Performer, Main Artist, Producer - M.J.Jackson, Composer, Lyricist - B. Bottrell, Lyricist - Bill Bottrell, Guitar, Percussion, Producer - Tim Pierce, Guitar - Terry Jackson, Bass Guitar - Brad Buxer, Keyboards, Percussion - Bryan Loren, Drums - John Barnes, Keyboards - Jason Martz, Keyboards - L.T.B., Rap Copyright : (P) 1991 MJJ Productions Inc.
Michael Jackson, Arranger, Associated Performer, Executive Producer, Main Artist, Producer, Soprano - M.J.Jackson, Composer, Lyricist - Bruce Swedien, Co-Producer - Linda Harmon, Soprano - DAVE WAY, Engineer - George Del Barrio, Arranger - Bryan Loren, Drums - Jean-Marie Horvat, Engineer - Bill Bottrell, Drums, Recording Engineer, Synthesizer - Richard Cottrell, Engineer - Brad Buxer, Keyboards - Kevin Gilbert, Engineer - Michael Boddicker, Keyboards - Bernie Grundman, Mastering Engineer - David Paich, Keyboards - Steve Porcaro, Keyboards - Jai Winding, Keyboards - Louis Johnson, Bass - Larry Corbett, Cello Copyright : (P) 1991 MJJ Productions Inc.
Michael Jackson, Associated Performer, Composer, Executive Producer, Lyricist, Main Artist, Producer - Bill Bottrell, Bass, Composer, Drums, Guitar, Lyricist, Recording Engineer - Bruce Swedien, Co-Producer - Tim Pierce, Guitar - DAVE WAY, Engineer - Jean-Marie Horvat, Engineer - Richard Cottrell, Engineer - Kevin Gilbert, Engineer - CRAIG BROCK, Assistant Engineer - Bernie Grundman, Mastering Engineer - Jim Mitchell, Recording Engineer Copyright : (P) 1991 MJJ Productions Inc.
Michael Jackson, Associated Performer, Executive Producer, Main Artist, Producer, Vocal Arranger - The Cleveland Orchestra, Associated Performer, Main Artist - M.J.Jackson, Composer, Lyricist - Bruce Swedien, Co-Producer, Drums, Percussion, Recording Engineer - Johnny Mandel, Conductor, Orchestrator - George Szell, Conductor - Robert Shaw, Director - Bryan Loren, Percussion - DAVE WAY, Engineer - Brad Buxer, Drums, Keyboards, Percussion - Jean-Marie Horvat, Engineer - Paulinho Da Costa, Percussion - Richard Cottrell, Engineer - Kevin Gilbert, Engineer - Bernie Grundman, Mastering Engineer - Greg Phillinganes, Keyboards - Michael Boddicker, Synthesizer - Matt Forger, Recording Engineer - Rhett Lawrence, Synthesizer - The Cleveland Orchestra Chorus, Associated Performer Copyright : (P) 1991 MJJ Productions Inc.
Michael Jackson, Associated Performer, Composer, Executive Producer, Lyricist, Main Artist, Producer - Bruce Swedien, Co-Producer, Drums, Percussion, Recording Engineer - Siedah Garrett, Composer, Lyricist - Glen Ballard, Arranger, Composer, Lyricist - Shanice Wilson - DAVE WAY, Engineer - David Williams, Guitar - Jean-Marie Horvat, Engineer - Rhett Lawrence, Arranger, Drums, Percussion, Synthesizer - Richard Cottrell, Engineer - Kevin Gilbert, Engineer - Jerry Hey, Arranger - Bernie Grundman, Mastering Engineer - Jai Winding, Bass, Piano - Michael Boddicker, Synthesizer Copyright : (P) 1991 MJJ Productions Inc.
Michael Jackson, Associated Performer, Executive Producer, Main Artist, Producer - Larry Grossman, Composer - Buz Kohan, Lyricist - Marty Paich, Composer, Conductor, Orchestrator - Bruce Swedien, Co-Producer, Recording Engineer - Paulinho Da Costa, Percussion - David Paich, Keyboards, Synthesizer - DAVE WAY, Engineer - Michael Boddicker, Synthesizer - Jean-Marie Horvat, Engineer - Richard Cottrell, Engineer - Steve Porcaro, Synthesizer - Kevin Gilbert, Engineer - Bernie Grundman, Mastering Engineer - Abraham Laboriel, Bass Copyright : (P) 1991 MJJ Productions Inc.
Michael Jackson, Associated Performer, Executive Producer, Main Artist, Producer, Vocal Arranger - Michael J. Jackson, Composer, Lyricist - Bruce Swedien, Co-Producer, Mixing Engineer, Recording Engineer - Bill Bottrell, Composer, Lyricist - Teddy Riley, Composer, Lyricist, Mixing Engineer, Recording Engineer, Synthesizer - Brad Buxer, Synthesizer - DAVE WAY, Engineer - Rhett Lawrence, Synthesizer - Jean-Marie Horvat, Engineer - Richard Cottrell, Engineer - Kevin Gilbert, Engineer - Bernie Grundman, Mastering Engineer - Jean-Marie Horvat, Recording Engineer - Thom Russo, Recording Engineer Copyright : (P) 1991 MJJ Productions Inc.
Michael Jackson, Arranger, Associated Performer, Drums, Guitar, Keyboards, Main Artist, Percussion, Producer, Synthesizer, Vocal Arranger - J. Harris III, Composer, Lyricist - Janet Jackson, Composer, Lyricist, Producer, Vocal Arranger - T. Lewis, Composer, Lyricist - Jimmy Jam, Arranger, Drum Programmer, Drums, Keyboards, Percussion, Producer, Synthesizer, Vocal Arranger - R. Kelly, Arranger, Keyboards, Synthesizer - M. Jackson, Composer, Lyricist - Terry Lewis, Arranger, Composer, Drum Programmer, Drums, Keyboards, Lyricist, Percussion, Producer, Synthesizer, Vocal Arranger - Boyz II Men - J. Jackson, Composer, Lyricist - Nathan Morris - James Harris, Composer, Lyricist - Chuck Wild, Drums, Executive Producer, Keyboards, Percussion, Synthesizer - Wanya Morris - Bruce Swedien, Arranger, Drums, Executive Producer, Percussion - Shawn Stockman - Michael J. Jackson, Composer, Lyricist - Brad Buxer, Arranger, Associated Performer, Executive Producer, Keyboards, Piano, Synthesizer - Michael McCary - Andrew Scheps, Drum Programmer, Executive Producer - Bryan Loren, Drums, Percussion - Matt Forger, Executive Producer - Carol Dennis - Jackie Gouche - Peter Mokran, Drum Programmer - Gloria Augustus - Linda McCrary - Andrae Crouch - Sandra Crouch - Andrae and Sandra Crouch adn the Andrae Crouch Singers - Elmer Bernstein, Conductor, Orchestrator - Jeremy Lubbock, Arranger, Conductor - Bill Ross, Conductor, Orchestrator - Susie Katayama, Conductor - Nile Rodgers, Guitar - Dallas Austin, Arranger, Keyboards, Synthesizer - Trevor Rabin, Guitar - Paul Jackson Jr., Guitar - Steve Lukather, Guitar - Bill Bottrell, Drums, Guitar, Keyboards, Percussion, Synthesizer - Jeff Mirinov, Guitar - Johnny Mandel, Arranger - René, Arranger, Drums, Keyboards, Percussion, Synthesizer - Rob Hoffman, Guitar - Michael Thompson, Guitar - Jen Leigh, Guitar - Jerry Hey, Arranger, Horn - Buddy Williams, Drums, Percussion - David Foster, Keyboards, Orchestrator, Piano, Synthesizer - Simon Franglen, Drums, Keyboards, Percussion, Synthesizer - Bobby Brooks, Drums, Percussion - OMAR HAKIM, Drums, Percussion - Steve Ferrone, Drums, Percussion - Steve "Yada" Porcaro, Keyboards, Synthesizer - David Paich, Bass, Keyboards, Synthesizer - Greg Phillinganes, Keyboards, Synthesizer - Lafayette Carthon, Keyboards, Synthesizer - Michael Boddicker, Associated Performer, Keyboards, Synthesizer - Rob Arbitter, Keyboards, Synthesizer - Gary Adante, Keyboards, Synthesizer - John Barnes, Keyboards, Synthesizer - RANDY WALDMAN, Keyboards, Synthesizer - Big Jim Wright, Organ, Piano - Jonathan Mackeky, Piano - Steve Porcaro, Associated Performer - Annette Sanders, Associated Performer - Maxi Anderson, Associated Performer - Alan Shearman, Associated Performer - Anna Mathias, Associated Performer - Gregory Martin, Associated Performer - Dawn McMillan, Associated Performer - Phillip G. Proctor, Associated Performer - Susan Silo, Associated Performer - Jesse Corti, Associated Performer - Hattie Winston, Associated Performer - Maurice La Marche, Associated Performer - Rodger Bumpass, Associated Performer - Emily Bernstein, Associated Performer - Geoff Grace, Associated Performer - The Notorious B.I.G., Rap - Shaquille O'Neal, Rap - Paul Peabody, Violin - Colin Wolfe, Bass - Louis Johnson, Bass - Wayne Pedzwater, Bass - Keith Rouster, Bass - Doug Grigsby, Bass - Guy Pratt, Bass - Larry Williams, Horn - Gary Grant, Horn - Bill Reichenbach, Horn - Kim Hutchcroft, Horn Copyright : (P) 1995 MJJ Productions Inc.
Michael Jackson, Arranger, Associated Performer, Composer, Drums, Executive Producer, Guitar, Keyboards, Main Artist, Percussion, Producer, Synthesizer, Vocal Arranger - M.J.Jackson, Composer, Lyricist - R. Kelly, Arranger, Keyboards, Synthesizer - Chuck Wild, Drums, Engineer, Executive Producer, Keyboards, Percussion, Synthesizer - Boyz II Men - Bruce Swedien, Arranger, Drums, Executive Producer, Percussion, Recording Engineer - Nathan Morris - Brad Buxer, Arranger, Associated Performer, Executive Producer, Keyboards, Piano, Synthesizer - Jimmy Jam, Arranger, Drum Programmer, Drums, Keyboards, Percussion, Synthesizer, Vocal Arranger - Wanya Morris - Andrew Scheps, Drum Programmer, Engineer, Executive Producer - Terry Lewis, Arranger, Drum Programmer, Drums, Keyboards, Percussion, Synthesizer, Vocal Arranger - Shawn Stockman - Matt Forger, Engineer, Executive Producer - Dallas Austin, Arranger, Keyboards, Synthesizer - Michael McCary - Bryan Loren, Drums, Percussion - Eddie De Lena, Engineer, Mixing Engineer, Recording Engineer - Carol Dennis - Bill Bottrell, Drums, Engineer, Guitar, Keyboards, Percussion, Synthesizer - Jackie Gouche - Jeremy Lubbock, Arranger, Conductor - Gloria Augustus - Brad Sundberg, Engineer - Johnny Mandel, Arranger - Linda McCrary - Dan Wallin, Engineer - René, Arranger, Drums, Keyboards, Percussion, Synthesizer - Andrae Crouch - Sandra Crouch - Andrae and Sandra Crouch adn the Andrae Crouch Singers - Steve Hodge, Engineer, Mixing Engineer, Recording Engineer - Elmer Bernstein, Conductor, Orchestrator - Peter Mokran, Drum Programmer, Engineer - Bill Ross, Conductor, Orchestrator - Jerry Hey, Arranger, Horn - Rob Hoffman, Assistant Engineer, Engineer, Guitar - Susie Katayama, Conductor - Bobby Brooks, Drums, Engineer, Percussion - Nile Rodgers, Guitar - Janet Jackson, Vocal Arranger - Felipe El Gueta, Engineer - Trevor Rabin, Guitar - John Van Nest, Engineer - Paul Jackson Jr., Guitar - Harry Maslin, Engineer - Steve Lukather, Guitar - David Foster, Keyboards, Orchestrator, Piano, Synthesizer - Michael Boddicker, Associated Performer, Engineer, Keyboards, Synthesizer - Jeff Mirinov, Guitar - Scott Pittinsky, Engineer - Roberta Swedien, Engineer - Michael Thompson, Guitar - Darryl Ross, Engineer - Jen Leigh, Guitar - Brian Vibberts, Assistant Engineer - Tony Duino Black, Assistant Engineer - Gus Garces, Assistant Engineer - Carl Nappa, Assistant Engineer - Jeff DeMorris, Assistant Engineer - Buddy Williams, Drums, Percussion - Jeff Taylor, Assistant Engineer - Trini Alvarez, Jr., Assistant Engineer - Simon Franglen, Drums, Keyboards, Percussion, Synthesizer - Glen Marchese, Assistant Engineer - CHRIS THEIS, Assistant Engineer - Jim Champagne, Assistant Engineer - Joshua Shapera, Assistant Engineer - OMAR HAKIM, Drums, Percussion - Ron Lowe, Assistant Engineer - Steve Ferrone, Drums, Percussion - CARL GLANVILLE, Assistant Engineer - Ryan Arnold, Assistant Engineer - Jamie Seyberth, Assistant Engineer - STEPHANIE GYLDEN, Assistant Engineer - Ben Wallach, Assistant Engineer - Rick Dasher, Assistant Engineer - Gabriel Sutter, Assistant Engineer - Bill Easystone, Assistant Engineer - Peter Germansen, Assistant Engineer - David Nottingham, Assistant Engineer - Chris Roberts, Assistant Engineer - Julie Last, Assistant Engineer - Craig Johnson, Assistant Engineer - Bernie Grundman, Mastering Engineer - Steve "Yada" Porcaro, Keyboards, Synthesizer - David Paich, Bass, Keyboards, Synthesizer - Greg Phillinganes, Keyboards, Synthesizer - Lafayette Carthon, Keyboards, Synthesizer - Rob Arbitter, Keyboards, Synthesizer - Gary Adante, Keyboards, Synthesizer - John Barnes, Keyboards, Synthesizer - RANDY WALDMAN, Keyboards, Synthesizer - Big Jim Wright, Organ, Piano - Jonathan Mackeky, Piano - Steve Porcaro, Associated Performer - Annette Sanders, Associated Performer - Maxi Anderson, Associated Performer - Alan Shearman, Associated Performer - Anna Mathias, Associated Performer - Gregory Martin, Associated Performer - Dawn McMillan, Associated Performer - Phillip G. Proctor, Associated Performer - Susan Silo, Associated Performer - Jesse Corti, Associated Performer - Hattie Winston, Associated Performer - Maurice La Marche, Associated Performer - Rodger Bumpass, Associated Performer - Emily Bernstein, Associated Performer - Geoff Grace, Associated Performer - Kimberly Johnson, Associated Performer - Crystal Pounds, Associated Performer - Rhonda Hoskins, Associated Performer - Crystal Grant, Associated Performer - Caleena Campbell, Associated Performer - Nikisha Grier, Associated Performer - Chauna Bryant, Associated Performer - Jania Foxworth, Associated Performer - Crystal Jackson, Associated Performer - Kandy Johnson, Associated Performer - Charity Young, Associated Performer - Angela Fisher, Associated Performer - Coy Mattison, Associated Performer - The Notorious B.I.G., Rap - Shaquille O'Neal, Rap - Paul Peabody, Violin - Colin Wolfe, Bass - Louis Johnson, Bass - Wayne Pedzwater, Bass - Keith Rouster, Bass - Doug Grigsby, Bass - Guy Pratt, Bass - Larry Williams, Horn - Gary Grant, Horn - Bill Reichenbach, Horn - Kim Hutchcroft, Horn Copyright : (P) 1995 MJJ Productions Inc.
Michael Jackson, Associated Performer, Drums, Guitar, Keyboards, Main Artist, Percussion, Producer, Synthesizer - M.J.Jackson, Composer, Lyricist - R. Kelly, Keyboards, Synthesizer - Bruce Swedien, Drums, Executive Producer, Percussion - Boyz II Men - Nathan Morris - Wanya Morris - Shawn Stockman - Michael McCary - Bryan Loren, Drums, Percussion - Carol Dennis - Jackie Gouche - Gloria Augustus - Linda McCrary - Andrae Crouch - Sandra Crouch - Andrae and Sandra Crouch adn the Andrae Crouch Singers - Chuck Wild, Drums, Keyboards, Percussion, Synthesizer - Rick Sheppard - Nile Rodgers, Guitar - Trevor Rabin, Guitar - Paul Jackson Jr., Guitar - Steve Lukather, Guitar - Bill Bottrell, Drums, Guitar, Keyboards, Percussion, Synthesizer - Jeff Mirinov, Guitar - Rob Hoffman, Guitar - Michael Thompson, Guitar - Jen Leigh, Guitar - Jimmy Jam, Drums, Keyboards, Percussion, Synthesizer - Terry Lewis, Drums, Keyboards, Percussion, Synthesizer - Buddy Williams, Drums, Percussion - Simon Franglen, Drums, Keyboards, Percussion, Synthesizer - Bobby Brooks, Drums, Percussion - OMAR HAKIM, Drums, Percussion - Steve Ferrone, Drums, Percussion - René, Drums, Keyboards, Percussion, Synthesizer - David Foster, Keyboards, Piano, Synthesizer - Steve "Yada" Porcaro, Keyboards, Synthesizer - David Paich, Bass, Keyboards, Synthesizer - Dallas Austin, Keyboards, Synthesizer - Brad Buxer, Associated Performer, Keyboards, Piano, Synthesizer - Greg Phillinganes, Keyboards, Synthesizer - Lafayette Carthon, Keyboards, Synthesizer - Michael Boddicker, Associated Performer, Keyboards, Synthesizer - Rob Arbitter, Keyboards, Synthesizer - Gary Adante, Keyboards, Synthesizer - John Barnes, Keyboards, Synthesizer - RANDY WALDMAN, Keyboards, Synthesizer - Big Jim Wright, Organ, Piano - Jonathan Mackeky, Piano - Steve Porcaro, Associated Performer - Annette Sanders, Associated Performer - Maxi Anderson, Associated Performer - Alan Shearman, Associated Performer - Anna Mathias, Associated Performer - Gregory Martin, Associated Performer - Dawn McMillan, Associated Performer - Phillip G. Proctor, Associated Performer - Susan Silo, Associated Performer - Jesse Corti, Associated Performer - Hattie Winston, Associated Performer - Maurice La Marche, Associated Performer - Rodger Bumpass, Associated Performer - Emily Bernstein, Associated Performer - Geoff Grace, Associated Performer - The Notorious B.I.G., Rap - Shaquille O'Neal, Rap - Paul Peabody, Violin - Colin Wolfe, Bass - Louis Johnson, Bass - Wayne Pedzwater, Bass - Keith Rouster, Bass - Doug Grigsby, Bass - Guy Pratt, Bass - Larry Williams, Horn - Jerry Hey, Horn - Gary Grant, Horn - Bill Reichenbach, Horn - Kim Hutchcroft, Horn Copyright : (P) 1995 MJJ Productions Inc.
Michael Jackson, Arranger, Associated Performer, Drums, Guitar, Keyboards, Main Artist, Percussion, Producer, Synthesizer, Vocal Arranger - Dallas Austin, Arranger, Composer, Keyboards, Producer, Synthesizer - D. Austin, Composer - R. Kelly, Arranger, Keyboards, Synthesizer - Bruce Swedien, Arranger, Composer, Drums, Executive Producer, Percussion, Recording Engineer - Boyz II Men - Chuck Wild, Drums, Engineer, Executive Producer, Keyboards, Percussion, Synthesizer - René, Arranger, Composer, Drums, Keyboards, Percussion, Synthesizer - Nathan Morris - Wanya Morris - M. Jackson, Lyricist - Brad Buxer, Arranger, Associated Performer, Executive Producer, Keyboards, Piano, Synthesizer - Shawn Stockman - Andrew Scheps, Drum Programmer, Engineer, Executive Producer - Jimmy Jam, Arranger, Drum Programmer, Drums, Keyboards, Percussion, Synthesizer, Vocal Arranger - Michael McCary - Matt Forger, Engineer, Executive Producer - Terry Lewis, Arranger, Drum Programmer, Drums, Keyboards, Percussion, Synthesizer, Vocal Arranger - Bryan Loren, Drums, Percussion - Michael Jackson, Executive Producer - Carol Dennis - Eddie De Lena, Engineer, Mixing Engineer, Recording Engineer - Jackie Gouche - Bill Bottrell, Drums, Engineer, Guitar, Keyboards, Percussion, Synthesizer - Gloria Augustus - Linda McCrary - Brad Sundberg, Engineer - Jeremy Lubbock, Arranger, Conductor - Dan Wallin, Engineer - Andrae Crouch - Sandra Crouch - Andrae and Sandra Crouch adn the Andrae Crouch Singers - Johnny Mandel, Arranger - Elmer Bernstein, Conductor, Orchestrator - Steve Hodge, Engineer, Mixing Engineer, Recording Engineer - Bill Ross, Conductor, Orchestrator - Peter Mokran, Drum Programmer, Engineer - Susie Katayama, Conductor - Rob Hoffman, Assistant Engineer, Engineer, Guitar - Nile Rodgers, Guitar - Jerry Hey, Arranger, Horn - Bobby Brooks, Drums, Engineer, Percussion - Trevor Rabin, Guitar - Felipe El Gueta, Engineer - Paul Jackson Jr., Guitar - Janet Jackson, Vocal Arranger - John Van Nest, Engineer - Steve Lukather, Guitar - Harry Maslin, Engineer - Michael Boddicker, Associated Performer, Engineer, Keyboards, Synthesizer - Jeff Mirinov, Guitar - David Foster, Keyboards, Orchestrator, Piano, Synthesizer - Scott Pittinsky, Engineer - Michael Thompson, Guitar - Roberta Swedien, Engineer - Jen Leigh, Guitar - Darryl Ross, Engineer - Brian Vibberts, Assistant Engineer - Tony Duino Black, Assistant Engineer - Gus Garces, Assistant Engineer - Carl Nappa, Assistant Engineer - Buddy Williams, Drums, Percussion - Jeff DeMorris, Assistant Engineer - Jeff Taylor, Assistant Engineer - Simon Franglen, Drums, Keyboards, Percussion, Synthesizer - Trini Alvarez, Jr., Assistant Engineer - Glen Marchese, Assistant Engineer - CHRIS THEIS, Assistant Engineer - Jim Champagne, Assistant Engineer - OMAR HAKIM, Drums, Percussion - Joshua Shapera, Assistant Engineer - Steve Ferrone, Drums, Percussion - Ron Lowe, Assistant Engineer - CARL GLANVILLE, Assistant Engineer - Ryan Arnold, Assistant Engineer - Jamie Seyberth, Assistant Engineer - STEPHANIE GYLDEN, Assistant Engineer - Ben Wallach, Assistant Engineer - Rick Dasher, Assistant Engineer - Gabriel Sutter, Assistant Engineer - Bill Easystone, Assistant Engineer - Peter Germansen, Assistant Engineer - David Nottingham, Assistant Engineer - Chris Roberts, Assistant Engineer - Julie Last, Assistant Engineer - Craig Johnson, Assistant Engineer - Bernie Grundman, Mastering Engineer - Steve "Yada" Porcaro, Keyboards, Synthesizer - David Paich, Bass, Keyboards, Synthesizer - Greg Phillinganes, Keyboards, Synthesizer - Lafayette Carthon, Keyboards, Synthesizer - Rob Arbitter, Keyboards, Synthesizer - Gary Adante, Keyboards, Synthesizer - John Barnes, Keyboards, Synthesizer - RANDY WALDMAN, Keyboards, Synthesizer - Big Jim Wright, Organ, Piano - Jonathan Mackeky, Piano - Steve Porcaro, Associated Performer - Annette Sanders, Associated Performer - Maxi Anderson, Associated Performer - Alan Shearman, Associated Performer - Anna Mathias, Associated Performer - Gregory Martin, Associated Performer - Dawn McMillan, Associated Performer - Phillip G. Proctor, Associated Performer - Susan Silo, Associated Performer - Jesse Corti, Associated Performer - Hattie Winston, Associated Performer - Maurice La Marche, Associated Performer - Rodger Bumpass, Associated Performer - Emily Bernstein, Associated Performer - Geoff Grace, Associated Performer - The Notorious B.I.G., Rap - Shaquille O'Neal, Rap - Paul Peabody, Violin - Colin Wolfe, Bass - Louis Johnson, Bass - Wayne Pedzwater, Bass - Keith Rouster, Bass - Doug Grigsby, Bass - Guy Pratt, Bass - Larry Williams, Horn - Gary Grant, Horn - Bill Reichenbach, Horn - Kim Hutchcroft, Horn Copyright : (P) 1995 MJJ Productions Inc.
Michael Jackson, Arranger, Associated Performer, Composer, Drums, Executive Producer, Guitar, Keyboards, Main Artist, Percussion, Producer, Synthesizer, Vocal Arranger - M. Jackson, Composer, Lyricist - David Foster, Keyboards, Orchestrator, Piano, Producer, Synthesizer - R. Kelly, Arranger, Keyboards, Synthesizer - Boyz II Men - Chuck Wild, Drums, Engineer, Executive Producer, Keyboards, Percussion, Synthesizer - Nathan Morris - Bruce Swedien, Arranger, Drums, Executive Producer, Percussion, Recording Engineer - Jimmy Jam, Arranger, Drum Programmer, Drums, Keyboards, Percussion, Synthesizer, Vocal Arranger - Wanya Morris - Brad Buxer, Arranger, Associated Performer, Executive Producer, Keyboards, Piano, Synthesizer - Terry Lewis, Arranger, Drum Programmer, Drums, Keyboards, Percussion, Synthesizer, Vocal Arranger - Shawn Stockman - Andrew Scheps, Drum Programmer, Engineer, Executive Producer - Dallas Austin, Arranger, Keyboards, Synthesizer - Michael McCary - Matt Forger, Engineer, Executive Producer - Bryan Loren, Drums, Percussion - Carol Dennis - Eddie De Lena, Engineer, Mixing Engineer, Recording Engineer - Jackie Gouche - Bill Bottrell, Associated Performer, Drums, Engineer, Guitar, Keyboards, Percussion, Synthesizer - Jeremy Lubbock, Arranger, Conductor - Gloria Augustus - Johnny Mandel, Arranger - Linda McCrary - Brad Sundberg, Engineer - René, Arranger, Drums, Keyboards, Percussion, Synthesizer - Dan Wallin, Engineer - Andrae Crouch - Sandra Crouch - Andrae and Sandra Crouch adn the Andrae Crouch Singers - Elmer Bernstein, Conductor, Orchestrator - Steve Hodge, Engineer, Mixing Engineer, Recording Engineer - Bill Ross, Conductor, Orchestrator - Jerry Hey, Arranger, Horn - Peter Mokran, Drum Programmer, Engineer - Susie Katayama, Conductor - Rob Hoffman, Assistant Engineer, Engineer, Guitar - Nile Rodgers, Guitar - Janet Jackson, Vocal Arranger - Bobby Brooks, Drums, Engineer, Percussion - Trevor Rabin, Guitar - Felipe El Gueta, Engineer - Paul Jackson Jr., Guitar - John Van Nest, Engineer - Steve Lukather, Guitar - Harry Maslin, Engineer - Michael Boddicker, Associated Performer, Engineer, Keyboards, Synthesizer - Jeff Mirinov, Guitar - Scott Pittinsky, Engineer - Michael Thompson, Guitar - Roberta Swedien, Engineer - Jen Leigh, Guitar - Darryl Ross, Engineer - Brian Vibberts, Assistant Engineer - Tony Duino Black, Assistant Engineer - Gus Garces, Assistant Engineer - Carl Nappa, Assistant Engineer - Buddy Williams, Drums, Percussion - Jeff DeMorris, Assistant Engineer - Jeff Taylor, Assistant Engineer - Simon Franglen, Drums, Keyboards, Percussion, Synthesizer - Trini Alvarez, Jr., Assistant Engineer - Glen Marchese, Assistant Engineer - CHRIS THEIS, Assistant Engineer - Jim Champagne, Assistant Engineer - OMAR HAKIM, Drums, Percussion - Joshua Shapera, Assistant Engineer - Steve Ferrone, Drums, Percussion - Ron Lowe, Assistant Engineer - CARL GLANVILLE, Assistant Engineer - Ryan Arnold, Assistant Engineer - Jamie Seyberth, Assistant Engineer - STEPHANIE GYLDEN, Assistant Engineer - Ben Wallach, Assistant Engineer - Rick Dasher, Assistant Engineer - Gabriel Sutter, Assistant Engineer - Bill Easystone, Assistant Engineer - Peter Germansen, Assistant Engineer - David Nottingham, Assistant Engineer - Chris Roberts, Assistant Engineer - Julie Last, Assistant Engineer - Craig Johnson, Assistant Engineer - Bernie Grundman, Mastering Engineer - Steve "Yada" Porcaro, Keyboards, Synthesizer - David Paich, Bass, Keyboards, Synthesizer - Greg Phillinganes, Keyboards, Synthesizer - Lafayette Carthon, Keyboards, Synthesizer - Rob Arbitter, Keyboards, Synthesizer - Gary Adante, Keyboards, Synthesizer - John Barnes, Keyboards, Synthesizer - RANDY WALDMAN, Keyboards, Synthesizer - Big Jim Wright, Organ, Piano - Jonathan Mackeky, Piano - Steve Porcaro, Associated Performer - Annette Sanders, Associated Performer - Maxi Anderson, Associated Performer - Alan Shearman, Associated Performer - Anna Mathias, Associated Performer - Gregory Martin, Associated Performer - Dawn McMillan, Associated Performer - Phillip G. Proctor, Associated Performer - Susan Silo, Associated Performer - Jesse Corti, Associated Performer - Hattie Winston, Associated Performer - Maurice La Marche, Associated Performer - Rodger Bumpass, Associated Performer - Emily Bernstein, Associated Performer - Geoff Grace, Associated Performer - The Notorious B.I.G., Rap - Shaquille O'Neal, Rap - Paul Peabody, Violin - Colin Wolfe, Bass - Louis Johnson, Bass - Wayne Pedzwater, Bass - Keith Rouster, Bass - Doug Grigsby, Bass - Guy Pratt, Bass - Larry Williams, Horn - Gary Grant, Horn - Bill Reichenbach, Horn - Kim Hutchcroft, Horn Copyright : (P) 1995 MJJ Productions Inc.
Michael Jackson, Arranger, Associated Performer, Composer, Drums, Guitar, Keyboards, Main Artist, Percussion, Producer, Synthesizer, Vocal Arranger - M. Jackson, Composer, Lyricist - R. Kelly, Arranger, Keyboards, Synthesizer - Chuck Wild, Drums, Engineer, Executive Producer, Keyboards, Percussion, Synthesizer - Boyz II Men - Bruce Swedien, Arranger, Drums, Executive Producer, Percussion, Recording Engineer - Nathan Morris - Brad Buxer, Arranger, Associated Performer, Executive Producer, Keyboards, Piano, Synthesizer - Jimmy Jam, Arranger, Drum Programmer, Drums, Keyboards, Percussion, Synthesizer, Vocal Arranger - Wanya Morris - Andrew Scheps, Drum Programmer, Engineer, Executive Producer - Terry Lewis, Arranger, Drum Programmer, Drums, Keyboards, Percussion, Synthesizer, Vocal Arranger - Shawn Stockman - Matt Forger, Engineer, Executive Producer - Dallas Austin, Arranger, Keyboards, Synthesizer - Michael McCary - Michael Jackson, Executive Producer - Bryan Loren, Drums, Percussion - Eddie De Lena, Engineer, Mixing Engineer, Recording Engineer - Carol Dennis - Bill Bottrell, Drums, Engineer, Guitar, Keyboards, Percussion, Synthesizer - Jackie Gouche - Jeremy Lubbock, Arranger, Conductor - Gloria Augustus - Brad Sundberg, Engineer - Johnny Mandel, Arranger - Linda McCrary - Dan Wallin, Engineer - René, Arranger, Drums, Keyboards, Percussion, Synthesizer - Andrae Crouch - Sandra Crouch - Andrae and Sandra Crouch adn the Andrae Crouch Singers - Steve Hodge, Engineer, Mixing Engineer, Recording Engineer - Elmer Bernstein, Conductor, Orchestrator - Peter Mokran, Drum Programmer, Engineer - Bill Ross, Conductor, Orchestrator - Jerry Hey, Arranger, Horn - Rob Hoffman, Assistant Engineer, Engineer, Guitar - Susie Katayama, Conductor - Bobby Brooks, Drums, Engineer, Percussion - Nile Rodgers, Guitar - Janet Jackson, Vocal Arranger - Felipe El Gueta, Engineer - Trevor Rabin, Guitar - John Van Nest, Engineer - Paul Jackson Jr., Guitar - Harry Maslin, Engineer - Steve Lukather, Guitar - David Foster, Keyboards, Orchestrator, Piano, Synthesizer - Michael Boddicker, Associated Performer, Engineer, Keyboards, Synthesizer - Jeff Mirinov, Guitar - Scott Pittinsky, Engineer - Roberta Swedien, Engineer - Michael Thompson, Guitar - Darryl Ross, Engineer - Jen Leigh, Guitar - Brian Vibberts, Assistant Engineer - Tony Duino Black, Assistant Engineer - Gus Garces, Assistant Engineer - Carl Nappa, Assistant Engineer - Jeff DeMorris, Assistant Engineer - Buddy Williams, Drums, Percussion - Jeff Taylor, Assistant Engineer - Trini Alvarez, Jr., Assistant Engineer - Simon Franglen, Drums, Keyboards, Percussion, Synthesizer - Glen Marchese, Assistant Engineer - CHRIS THEIS, Assistant Engineer - Jim Champagne, Assistant Engineer - Joshua Shapera, Assistant Engineer - OMAR HAKIM, Drums, Percussion - Ron Lowe, Assistant Engineer - Steve Ferrone, Drums, Percussion - CARL GLANVILLE, Assistant Engineer - Ryan Arnold, Assistant Engineer - Jamie Seyberth, Assistant Engineer - STEPHANIE GYLDEN, Assistant Engineer - Ben Wallach, Assistant Engineer - Rick Dasher, Assistant Engineer - Gabriel Sutter, Assistant Engineer - Bill Easystone, Assistant Engineer - Peter Germansen, Assistant Engineer - David Nottingham, Assistant Engineer - Chris Roberts, Assistant Engineer - Julie Last, Assistant Engineer - Craig Johnson, Assistant Engineer - Bernie Grundman, Mastering Engineer - Steve "Yada" Porcaro, Keyboards, Synthesizer - David Paich, Bass, Keyboards, Synthesizer - Greg Phillinganes, Keyboards, Synthesizer - Lafayette Carthon, Keyboards, Synthesizer - Rob Arbitter, Keyboards, Synthesizer - Gary Adante, Keyboards, Synthesizer - John Barnes, Keyboards, Synthesizer - RANDY WALDMAN, Keyboards, Synthesizer - Big Jim Wright, Organ, Piano - Jonathan Mackeky, Piano - Steve Porcaro, Associated Performer - Annette Sanders, Associated Performer - Maxi Anderson, Associated Performer - Alan Shearman, Associated Performer - Anna Mathias, Associated Performer - Gregory Martin, Associated Performer - Dawn McMillan, Associated Performer - Phillip G. Proctor, Associated Performer - Susan Silo, Associated Performer - Jesse Corti, Associated Performer - Hattie Winston, Associated Performer - Maurice La Marche, Associated Performer - Rodger Bumpass, Associated Performer - Emily Bernstein, Associated Performer - Geoff Grace, Associated Performer - The Notorious B.I.G., Rap - Shaquille O'Neal, Rap - Paul Peabody, Violin - Colin Wolfe, Bass - Louis Johnson, Bass - Wayne Pedzwater, Bass - Keith Rouster, Bass - Doug Grigsby, Bass - Guy Pratt, Bass - Larry Williams, Horn - Gary Grant, Horn - Bill Reichenbach, Horn - Kim Hutchcroft, Horn Copyright : (P) 1995 MJJ Productions Inc.
Michael Jackson, Arranger, Associated Performer, Composer, Drums, Executive Producer, Guitar, Keyboards, Main Artist, Percussion, Producer, Synthesizer, Vocal Arranger - M. Jackson, Composer, Lyricist - Jimmy Jam, Arranger, Drum Programmer, Drums, Keyboards, Percussion, Synthesizer, Vocal Arranger - Terry Lewis, Arranger, Drum Programmer, Drums, Keyboards, Percussion, Synthesizer, Vocal Arranger - Dallas Austin, Arranger, Keyboards, Synthesizer - Bruce Swedien, Arranger, Drums, Executive Producer, Percussion, Recording Engineer - R. Kelly, Arranger, Keyboards, Synthesizer - Jeremy Lubbock, Arranger, Conductor - Brad Buxer, Arranger, Associated Performer, Executive Producer, Keyboards, Piano, Synthesizer - Johnny Mandel, Arranger - René, Arranger, Drums, Keyboards, Percussion, Synthesizer - Jerry Hey, Arranger, Horn - Janet Jackson, Vocal Arranger - David Foster, Keyboards, Orchestrator, Piano, Synthesizer - Elmer Bernstein, Conductor, Orchestrator - Bill Ross, Conductor, Orchestrator - Boyz II Men - Nathan Morris - Wanya Morris - Shawn Stockman - Michael McCary - Bryan Loren, Drums, Percussion - Carol Dennis - Jackie Gouche - Gloria Augustus - Linda McCrary - Andrae Crouch - Sandra Crouch - Andrae and Sandra Crouch adn the Andrae Crouch Singers - Susie Katayama, Conductor - Nile Rodgers, Guitar - Trevor Rabin, Guitar - Paul Jackson Jr., Guitar - Steve Lukather, Guitar - Bill Bottrell, Drums, Engineer, Guitar, Keyboards, Percussion, Synthesizer - Jeff Mirinov, Guitar - Rob Hoffman, Assistant Engineer, Engineer, Guitar - Michael Thompson, Guitar - Jen Leigh, Guitar - Buddy Williams, Drums, Percussion - Simon Franglen, Drums, Keyboards, Percussion, Synthesizer - Chuck Wild, Drums, Engineer, Executive Producer, Keyboards, Percussion, Synthesizer - Bobby Brooks, Drums, Engineer, Percussion - OMAR HAKIM, Drums, Percussion - Steve Ferrone, Drums, Percussion - Steve "Yada" Porcaro, Keyboards, Synthesizer - David Paich, Bass, Keyboards, Synthesizer - Greg Phillinganes, Keyboards, Synthesizer - Lafayette Carthon, Keyboards, Synthesizer - Michael Boddicker, Associated Performer, Engineer, Keyboards, Synthesizer - Rob Arbitter, Keyboards, Synthesizer - Gary Adante, Keyboards, Synthesizer - John Barnes, Keyboards, Synthesizer - RANDY WALDMAN, Keyboards, Synthesizer - Big Jim Wright, Organ, Piano - Jonathan Mackeky, Piano - Steve Porcaro, Associated Performer - Annette Sanders, Associated Performer - Maxi Anderson, Associated Performer - Alan Shearman, Associated Performer - Anna Mathias, Associated Performer - Gregory Martin, Associated Performer - Dawn McMillan, Associated Performer - Phillip G. Proctor, Associated Performer - Susan Silo, Associated Performer - Jesse Corti, Associated Performer - Hattie Winston, Associated Performer - Maurice La Marche, Associated Performer - Rodger Bumpass, Associated Performer - Emily Bernstein, Associated Performer - Geoff Grace, Associated Performer - The Notorious B.I.G., Rap - Shaquille O'Neal, Rap - Paul Peabody, Violin - Colin Wolfe, Bass - Louis Johnson, Bass - Wayne Pedzwater, Bass - Keith Rouster, Bass - Doug Grigsby, Bass - Guy Pratt, Bass - Larry Williams, Horn - Gary Grant, Horn - Bill Reichenbach, Horn - Kim Hutchcroft, Horn - Andrew Scheps, Drum Programmer, Engineer, Executive Producer - Matt Forger, Engineer, Executive Producer - Eddie De Lena, Engineer, Mixing Engineer, Recording Engineer - Brad Sundberg, Engineer - Dan Wallin, Engineer - Steve Hodge, Engineer, Mixing Engineer, Recording Engineer - Peter Mokran, Drum Programmer, Engineer - Felipe El Gueta, Engineer - John Van Nest, Engineer - Harry Maslin, Engineer - Scott Pittinsky, Engineer - Roberta Swedien, Engineer - Darryl Ross, Engineer - Brian Vibberts, Assistant Engineer - Tony Duino Black, Assistant Engineer - Gus Garces, Assistant Engineer - Carl Nappa, Assistant Engineer - Jeff DeMorris, Assistant Engineer - Jeff Taylor, Assistant Engineer - Trini Alvarez, Jr., Assistant Engineer - Glen Marchese, Assistant Engineer - CHRIS THEIS, Assistant Engineer - Jim Champagne, Assistant Engineer - Joshua Shapera, Assistant Engineer - Ron Lowe, Assistant Engineer - CARL GLANVILLE, Assistant Engineer - Ryan Arnold, Assistant Engineer - Jamie Seyberth, Assistant Engineer - STEPHANIE GYLDEN, Assistant Engineer - Ben Wallach, Assistant Engineer - Rick Dasher, Assistant Engineer - Gabriel Sutter, Assistant Engineer - Bill Easystone, Assistant Engineer - Peter Germansen, Assistant Engineer - David Nottingham, Assistant Engineer - Chris Roberts, Assistant Engineer - Julie Last, Assistant Engineer - Craig Johnson, Assistant Engineer - Bernie Grundman, Mastering Engineer Copyright : (P) 1995 MJJ Productions Inc.
Michael Jackson, Arranger, Associated Performer, Drums, Executive Producer, Guitar, Keyboards, Main Artist, Percussion, Producer, Synthesizer, Vocal Arranger - Bill Bottrell, Drums, Engineer, Guitar, Keyboards, Percussion, Producer, Synthesizer - R. Kelly, Arranger, Keyboards, Synthesizer - John Lennon, Composer, Lyricist - Boyz II Men - Chuck Wild, Drums, Engineer, Executive Producer, Keyboards, Percussion, Synthesizer - Paul McCartney, Composer, Lyricist - Nathan Morris - Bruce Swedien, Arranger, Drums, Executive Producer, Percussion, Recording Engineer - Wanya Morris - Brad Buxer, Arranger, Associated Performer, Executive Producer, Keyboards, Piano, Synthesizer - Shawn Stockman - Andrew Scheps, Drum Programmer, Engineer, Executive Producer - Michael McCary - Matt Forger, Engineer, Executive Producer - Jimmy Jam, Arranger, Drum Programmer, Drums, Keyboards, Percussion, Synthesizer, Vocal Arranger - Bryan Loren, Drums, Percussion - Terry Lewis, Arranger, Drum Programmer, Drums, Keyboards, Percussion, Synthesizer, Vocal Arranger - Carol Dennis - Eddie De Lena, Engineer, Mixing Engineer, Recording Engineer - Dallas Austin, Arranger, Keyboards, Synthesizer - Jackie Gouche - Gloria Augustus - Linda McCrary - Brad Sundberg, Engineer - Dan Wallin, Engineer - Jeremy Lubbock, Arranger, Conductor - Andrae Crouch - Sandra Crouch - Andrae and Sandra Crouch adn the Andrae Crouch Singers - Elmer Bernstein, Conductor, Orchestrator - Johnny Mandel, Arranger - Steve Hodge, Engineer, Mixing Engineer, Recording Engineer - Bill Ross, Conductor, Orchestrator - René, Arranger, Drums, Keyboards, Percussion, Synthesizer - Peter Mokran, Drum Programmer, Engineer - Susie Katayama, Conductor - Rob Hoffman, Assistant Engineer, Engineer, Guitar - Nile Rodgers, Guitar - Bobby Brooks, Drums, Engineer, Percussion - Trevor Rabin, Guitar - Jerry Hey, Arranger, Horn - Felipe El Gueta, Engineer - Paul Jackson Jr., Guitar - John Van Nest, Engineer - Steve Lukather, Guitar - Janet Jackson, Vocal Arranger - Harry Maslin, Engineer - Michael Boddicker, Associated Performer, Engineer, Keyboards, Synthesizer - Jeff Mirinov, Guitar - David Foster, Keyboards, Orchestrator, Piano, Synthesizer - Scott Pittinsky, Engineer - Michael Thompson, Guitar - Roberta Swedien, Engineer - Jen Leigh, Guitar - Darryl Ross, Engineer - Brian Vibberts, Assistant Engineer - Tony Duino Black, Assistant Engineer - Gus Garces, Assistant Engineer - Carl Nappa, Assistant Engineer - Buddy Williams, Drums, Percussion - Jeff DeMorris, Assistant Engineer - Jeff Taylor, Assistant Engineer - Simon Franglen, Drums, Keyboards, Percussion, Synthesizer - Trini Alvarez, Jr., Assistant Engineer - Glen Marchese, Assistant Engineer - CHRIS THEIS, Assistant Engineer - Jim Champagne, Assistant Engineer - OMAR HAKIM, Drums, Percussion - Joshua Shapera, Assistant Engineer - Steve Ferrone, Drums, Percussion - Ron Lowe, Assistant Engineer - CARL GLANVILLE, Assistant Engineer - Ryan Arnold, Assistant Engineer - Jamie Seyberth, Assistant Engineer - STEPHANIE GYLDEN, Assistant Engineer - Ben Wallach, Assistant Engineer - Rick Dasher, Assistant Engineer - Gabriel Sutter, Assistant Engineer - Bill Easystone, Assistant Engineer - Peter Germansen, Assistant Engineer - David Nottingham, Assistant Engineer - Chris Roberts, Assistant Engineer - Julie Last, Assistant Engineer - Craig Johnson, Assistant Engineer - Bernie Grundman, Mastering Engineer - Steve "Yada" Porcaro, Keyboards, Synthesizer - David Paich, Bass, Keyboards, Synthesizer - Greg Phillinganes, Keyboards, Synthesizer - Lafayette Carthon, Keyboards, Synthesizer - Rob Arbitter, Keyboards, Synthesizer - Gary Adante, Keyboards, Synthesizer - John Barnes, Keyboards, Synthesizer - RANDY WALDMAN, Keyboards, Synthesizer - Big Jim Wright, Organ, Piano - Jonathan Mackeky, Piano - Steve Porcaro, Associated Performer - Annette Sanders, Associated Performer - Maxi Anderson, Associated Performer - Alan Shearman, Associated Performer - Anna Mathias, Associated Performer - Gregory Martin, Associated Performer - Dawn McMillan, Associated Performer - Phillip G. Proctor, Associated Performer - Susan Silo, Associated Performer - Jesse Corti, Associated Performer - Hattie Winston, Associated Performer - Maurice La Marche, Associated Performer - Rodger Bumpass, Associated Performer - Emily Bernstein, Associated Performer - Geoff Grace, Associated Performer - The Notorious B.I.G., Rap - Shaquille O'Neal, Rap - Paul Peabody, Violin - Colin Wolfe, Bass - Louis Johnson, Bass - Wayne Pedzwater, Bass - Keith Rouster, Bass - Doug Grigsby, Bass - Guy Pratt, Bass - Larry Williams, Horn - Gary Grant, Horn - Bill Reichenbach, Horn - Kim Hutchcroft, Horn Copyright : (P) 1988 MJJ Productions Inc.
Michael Jackson, Associated Performer, Drums, Guitar, Keyboards, Main Artist, Percussion, Producer - R. Kelly, Composer, Keyboards, Lyricist, Producer, Synthesizer - Robert Kelly, Composer, Lyricist - Boyz II Men - Chuck Wild, Drums, Executive Producer, Keyboards, Percussion, Synthesizer - Nathan Morris - Bruce Swedien, Drums, Executive Producer, Percussion - Wanya Morris - Brad Buxer, Associated Performer, Executive Producer, Keyboards, Piano, Synthesizer - Shawn Stockman - Andrew Scheps, Executive Producer - Michael McCary - Matt Forger, Executive Producer - Bryan Loren, Drums, Percussion - Carol Dennis - Jackie Gouche - Gloria Augustus - Linda McCrary - Andrae Crouch - Sandra Crouch - Andrae and Sandra Crouch adn the Andrae Crouch Singers - Nile Rodgers, Guitar - Trevor Rabin, Guitar - Paul Jackson Jr., Guitar - Steve Lukather, Guitar - Bill Bottrell, Drums, Guitar, Keyboards, Percussion, Synthesizer - Jeff Mirinov, Guitar - Rob Hoffman, Guitar - Michael Thompson, Guitar - Jen Leigh, Guitar - Jimmy Jam, Drums, Keyboards, Percussion, Synthesizer - Terry Lewis, Drums, Keyboards, Percussion, Synthesizer - Buddy Williams, Drums, Percussion - Simon Franglen, Drums, Keyboards, Percussion, Synthesizer - Bobby Brooks, Drums, Percussion - OMAR HAKIM, Drums, Percussion - Steve Ferrone, Drums, Percussion - René, Drums, Keyboards, Percussion, Synthesizer - David Foster, Keyboards, Piano, Synthesizer - Steve "Yada" Porcaro, Keyboards, Synthesizer - David Paich, Bass, Keyboards, Synthesizer - Dallas Austin, Keyboards, Synthesizer - Greg Phillinganes, Keyboards, Synthesizer - Lafayette Carthon, Keyboards, Synthesizer - Michael Boddicker, Associated Performer, Keyboards, Synthesizer - Rob Arbitter, Keyboards, Synthesizer - Gary Adante, Keyboards, Synthesizer - John Barnes, Keyboards, Synthesizer - RANDY WALDMAN, Keyboards, Synthesizer - Big Jim Wright, Organ, Piano - Jonathan Mackeky, Piano - Steve Porcaro, Associated Performer - Annette Sanders, Associated Performer - Maxi Anderson, Associated Performer - Alan Shearman, Associated Performer - Anna Mathias, Associated Performer - Gregory Martin, Associated Performer - Dawn McMillan, Associated Performer - Phillip G. Proctor, Associated Performer - Susan Silo, Associated Performer - Jesse Corti, Associated Performer - Hattie Winston, Associated Performer - Maurice La Marche, Associated Performer - Rodger Bumpass, Associated Performer - Emily Bernstein, Associated Performer - Geoff Grace, Associated Performer - The Notorious B.I.G., Rap - Shaquille O'Neal, Rap - Paul Peabody, Violin - Colin Wolfe, Bass - Louis Johnson, Bass - Wayne Pedzwater, Bass - Keith Rouster, Bass - Doug Grigsby, Bass - Guy Pratt, Bass - Larry Williams, Horn - Jerry Hey, Horn - Gary Grant, Horn - Bill Reichenbach, Horn - Kim Hutchcroft, Horn Copyright : (P) 1995 MJJ Productions Inc.
Michael Jackson, Associated Performer, Drums, Guitar, Keyboards, Main Artist, Percussion, Producer - M. Jackson, Composer, Lyricist - R. Kelly, Keyboards, Synthesizer - M.J. Jackson, Composer, Lyricist - Boyz II Men - Nathan Morris - Wanya Morris - Shawn Stockman - Michael McCary - Bryan Loren, Drums, Percussion - Carol Dennis - Jackie Gouche - Gloria Augustus - Linda McCrary - Andrae Crouch - Sandra Crouch - Andrae and Sandra Crouch adn the Andrae Crouch Singers - Nile Rodgers, Guitar - Trevor Rabin, Guitar - Paul Jackson Jr., Guitar - Steve Lukather, Guitar - Bill Bottrell, Drums, Guitar, Keyboards, Percussion, Synthesizer - Jeff Mirinov, Guitar - Rob Hoffman, Guitar - Michael Thompson, Guitar - Jen Leigh, Guitar - Jimmy Jam, Drums, Keyboards, Percussion, Synthesizer - Terry Lewis, Drums, Keyboards, Percussion, Synthesizer - Buddy Williams, Drums, Percussion - Bruce Swedien, Drums, Percussion - Simon Franglen, Drums, Keyboards, Percussion, Synthesizer - Chuck Wild, Drums, Keyboards, Percussion, Synthesizer - Bobby Brooks, Drums, Percussion - OMAR HAKIM, Drums, Percussion - Steve Ferrone, Drums, Percussion - René, Drums, Keyboards, Percussion, Synthesizer - David Foster, Keyboards, Piano, Synthesizer - Steve "Yada" Porcaro, Keyboards, Synthesizer - David Paich, Bass, Keyboards, Synthesizer - Dallas Austin, Keyboards, Synthesizer - Brad Buxer, Associated Performer, Keyboards, Piano, Synthesizer - Greg Phillinganes, Keyboards, Synthesizer - Lafayette Carthon, Keyboards, Synthesizer - Michael Boddicker, Associated Performer, Keyboards, Synthesizer - Rob Arbitter, Keyboards, Synthesizer - Gary Adante, Keyboards, Synthesizer - John Barnes, Keyboards, Synthesizer - RANDY WALDMAN, Keyboards - Big Jim Wright, Organ, Piano - Jonathan Mackeky, Piano - Steve Porcaro, Associated Performer - Annette Sanders, Associated Performer - Maxi Anderson, Associated Performer - Alan Shearman, Associated Performer - Anna Mathias, Associated Performer - Gregory Martin, Associated Performer - Dawn McMillan, Associated Performer - Phillip G. Proctor, Associated Performer - Susan Silo, Associated Performer - Jesse Corti, Associated Performer - Hattie Winston, Associated Performer - Maurice La Marche, Associated Performer - Rodger Bumpass, Associated Performer - Emily Bernstein, Associated Performer - Geoff Grace, Associated Performer - Tracy Spindler, Associated Performer - Natalia Harris, Associated Performer - Jonathon Ungar, Associated Performer - Brandi Stewart, Associated Performer - Reeve Carney, Associated Performer - Caryn Jones, Associated Performer - Brian Jones, Associated Performer - The Notorious B.I.G., Rap - Shaquille O'Neal, Rap - Paul Peabody, Violin - Colin Wolfe, Bass - Louis Johnson, Bass - Wayne Pedzwater, Bass - Keith Rouster, Bass - Doug Grigsby, Bass - Guy Pratt, Bass - Larry Williams, Horn - Jerry Hey, Horn - Gary Grant, Horn - Bill Reichenbach, Horn - Kim Hutchcroft, Horn Copyright : (P) 1995 MJJ Productions Inc.
Michael Jackson, Arranger, Associated Performer, Composer, Drums, Executive Producer, Guitar, Keyboards, Main Artist, Percussion, Producer, Synthesizer, Vocal Arranger - M. Jackson, Composer, Lyricist - R. Kelly, Arranger, Keyboards, Synthesizer - J. Harris III, Composer, Lyricist - Jimmy Jam & Terry Lewis, Producer - Boyz II Men - T. Lewis, Composer, Lyricist - Chuck Wild, Drums, Engineer, Executive Producer, Keyboards, Percussion, Synthesizer - Nathan Morris - Bruce Swedien, Arranger, Drums, Executive Producer, Percussion, Recording Engineer - James Harris III, Composer - Wanya Morris - Brad Buxer, Arranger, Associated Performer, Executive Producer, Keyboards, Piano, Synthesizer - Terry Lewis, Arranger, Composer, Drum Programmer, Drums, Keyboards, Percussion, Synthesizer, Vocal Arranger - Shawn Stockman - Andrew Scheps, Drum Programmer, Engineer, Executive Producer - Michael McCary - Matt Forger, Engineer, Executive Producer - Bryan Loren, Drums, Percussion - Carol Dennis - Eddie De Lena, Engineer, Mixing Engineer, Recording Engineer - Jackie Gouche - Bill Bottrell, Drums, Engineer, Guitar, Keyboards, Percussion, Synthesizer - Jimmy Jam, Arranger, Drum Programmer, Drums, Keyboards, Percussion, Synthesizer, Vocal Arranger - Gloria Augustus - Linda McCrary - Brad Sundberg, Engineer - Dallas Austin, Arranger, Keyboards, Synthesizer - Dan Wallin, Engineer - Andrae Crouch - Sandra Crouch - Andrae and Sandra Crouch adn the Andrae Crouch Singers - Elmer Bernstein, Conductor, Orchestrator - Steve Hodge, Engineer, Mixing Engineer, Recording Engineer - Jeremy Lubbock, Arranger, Conductor - Bill Ross, Conductor, Orchestrator - Peter Mokran, Drum Programmer, Engineer - Susie Katayama, Conductor - Rob Hoffman, Assistant Engineer, Engineer, Guitar - Nile Rodgers, Guitar - Johnny Mandel, Arranger - Bobby Brooks, Drums, Engineer, Percussion - Trevor Rabin, Guitar - René, Arranger, Drums, Keyboards, Percussion, Synthesizer - Felipe El Gueta, Engineer - Paul Jackson Jr., Guitar - John Van Nest, Engineer - Steve Lukather, Guitar - Harry Maslin, Engineer - Jerry Hey, Arranger, Horn - Michael Boddicker, Associated Performer, Engineer, Keyboards, Synthesizer - Jeff Mirinov, Guitar - Janet Jackson, Vocal Arranger - Scott Pittinsky, Engineer - Michael Thompson, Guitar - Roberta Swedien, Engineer - Jen Leigh, Guitar - David Foster, Keyboards, Orchestrator, Piano, Synthesizer - Darryl Ross, Engineer - Brian Vibberts, Assistant Engineer - Tony Duino Black, Assistant Engineer - Gus Garces, Assistant Engineer - Carl Nappa, Assistant Engineer - Buddy Williams, Drums, Percussion - Jeff DeMorris, Assistant Engineer - Jeff Taylor, Assistant Engineer - Simon Franglen, Drums, Keyboards, Percussion, Synthesizer - Trini Alvarez, Jr., Assistant Engineer - Glen Marchese, Assistant Engineer - CHRIS THEIS, Assistant Engineer - Jim Champagne, Assistant Engineer - OMAR HAKIM, Drums, Percussion - Joshua Shapera, Assistant Engineer - Steve Ferrone, Drums, Percussion - Ron Lowe, Assistant Engineer - CARL GLANVILLE, Assistant Engineer - Ryan Arnold, Assistant Engineer - Jamie Seyberth, Assistant Engineer - STEPHANIE GYLDEN, Assistant Engineer - Ben Wallach, Assistant Engineer - Rick Dasher, Assistant Engineer - Gabriel Sutter, Assistant Engineer - Bill Easystone, Assistant Engineer - Peter Germansen, Assistant Engineer - David Nottingham, Assistant Engineer - Chris Roberts, Assistant Engineer - Julie Last, Assistant Engineer - Craig Johnson, Assistant Engineer - Bernie Grundman, Mastering Engineer - Steve "Yada" Porcaro, Keyboards, Synthesizer - David Paich, Bass, Keyboards, Synthesizer - Greg Phillinganes, Keyboards, Synthesizer - Lafayette Carthon, Keyboards, Synthesizer - Rob Arbitter, Keyboards, Synthesizer - Gary Adante, Keyboards, Synthesizer - John Barnes, Keyboards, Synthesizer - RANDY WALDMAN, Keyboards, Synthesizer - Big Jim Wright, Organ, Piano - Jonathan Mackeky, Piano - Steve Porcaro, Associated Performer - Annette Sanders, Associated Performer - Maxi Anderson, Associated Performer - Alan Shearman, Associated Performer - Anna Mathias, Associated Performer - Gregory Martin, Associated Performer - Dawn McMillan, Associated Performer - Phillip G. Proctor, Associated Performer - Susan Silo, Associated Performer - Jesse Corti, Associated Performer - Hattie Winston, Associated Performer - Maurice La Marche, Associated Performer - Rodger Bumpass, Associated Performer - Emily Bernstein, Associated Performer - Geoff Grace, Associated Performer - The Notorious B.I.G., Rap - Shaquille O'Neal, Rap - Paul Peabody, Violin - Colin Wolfe, Bass - Louis Johnson, Bass - Wayne Pedzwater, Bass - Keith Rouster, Bass - Doug Grigsby, Bass - Guy Pratt, Bass - Larry Williams, Horn - Gary Grant, Horn - Bill Reichenbach, Horn - Kim Hutchcroft, Horn Copyright : (P) 1995 MJJ Productions Inc.
Michael Jackson, Arranger, Associated Performer, Drums, Executive Producer, Guitar, Keyboards, Main Artist, Percussion, Producer, Synthesizer, Vocal Arranger - M. Jackson, Composer, Lyricist - R. Kelly, Arranger, Keyboards, Synthesizer - B. Swedien, Composer - Jimmy Jam & Terry Lewis, Producer - Boyz II Men - René, Arranger, Composer, Drums, Keyboards, Percussion, Synthesizer - Bruce Swedien And Rene, Producer - Nathan Morris - D. Austin, Composer - Chuck Wild, Drums, Engineer, Executive Producer, Keyboards, Percussion, Synthesizer - Wanya Morris - Bruce Swedien, Arranger, Composer, Drums, Executive Producer, Percussion, Recording Engineer - Shawn Stockman - Brad Buxer, Arranger, Associated Performer, Executive Producer, Keyboards, Piano, Synthesizer - Michael McCary - Andrew Scheps, Drum Programmer, Engineer, Executive Producer - Dallas Austin, Arranger, Composer, Keyboards, Synthesizer - Bryan Loren, Drums, Percussion - Matt Forger, Engineer, Executive Producer - Carol Dennis - René, Composer - Jackie Gouche - Eddie De Lena, Engineer, Mixing Engineer, Recording Engineer - Gloria Augustus - Bill Bottrell, Drums, Engineer, Guitar, Keyboards, Percussion, Synthesizer - Jimmy Jam, Arranger, Drum Programmer, Drums, Keyboards, Percussion, Synthesizer, Vocal Arranger - Linda McCrary - Terry Lewis, Arranger, Drum Programmer, Drums, Keyboards, Percussion, Synthesizer, Vocal Arranger - Brad Sundberg, Engineer - Andrae Crouch - Sandra Crouch - Andrae and Sandra Crouch adn the Andrae Crouch Singers - Dan Wallin, Engineer - Elmer Bernstein, Conductor, Orchestrator - Jeremy Lubbock, Arranger, Conductor - Bill Ross, Conductor, Orchestrator - Steve Hodge, Engineer, Mixing Engineer, Recording Engineer - Susie Katayama, Conductor - Peter Mokran, Drum Programmer, Engineer - Nile Rodgers, Guitar - Rob Hoffman, Assistant Engineer, Engineer, Guitar - Trevor Rabin, Guitar - Johnny Mandel, Arranger - Bobby Brooks, Drums, Engineer, Percussion - Paul Jackson Jr., Guitar - Felipe El Gueta, Engineer - Steve Lukather, Guitar - John Van Nest, Engineer - Harry Maslin, Engineer - Jeff Mirinov, Guitar - Jerry Hey, Arranger, Horn - Michael Boddicker, Associated Performer, Engineer, Keyboards, Synthesizer - Janet Jackson, Vocal Arranger - Scott Pittinsky, Engineer - Michael Thompson, Guitar - Jen Leigh, Guitar - Roberta Swedien, Engineer - David Foster, Keyboards, Orchestrator, Piano, Synthesizer - Darryl Ross, Engineer - Brian Vibberts, Assistant Engineer - Tony Duino Black, Assistant Engineer - Gus Garces, Assistant Engineer - Buddy Williams, Drums, Percussion - Carl Nappa, Assistant Engineer - Jeff DeMorris, Assistant Engineer - Simon Franglen, Drums, Keyboards, Percussion, Synthesizer - Jeff Taylor, Assistant Engineer - Trini Alvarez, Jr., Assistant Engineer - Glen Marchese, Assistant Engineer - CHRIS THEIS, Assistant Engineer - OMAR HAKIM, Drums, Percussion - Jim Champagne, Assistant Engineer - Steve Ferrone, Drums, Percussion - Joshua Shapera, Assistant Engineer - Ron Lowe, Assistant Engineer - CARL GLANVILLE, Assistant Engineer - Ryan Arnold, Assistant Engineer - Jamie Seyberth, Assistant Engineer - STEPHANIE GYLDEN, Assistant Engineer - Ben Wallach, Assistant Engineer - Rick Dasher, Assistant Engineer - Gabriel Sutter, Assistant Engineer - Bill Easystone, Assistant Engineer - Peter Germansen, Assistant Engineer - David Nottingham, Assistant Engineer - Chris Roberts, Assistant Engineer - Julie Last, Assistant Engineer - Craig Johnson, Assistant Engineer - Bernie Grundman, Mastering Engineer - Steve "Yada" Porcaro, Keyboards, Synthesizer - David Paich, Bass, Keyboards, Synthesizer - Greg Phillinganes, Keyboards, Synthesizer - Lafayette Carthon, Keyboards, Synthesizer - Rob Arbitter, Keyboards, Synthesizer - Gary Adante, Keyboards, Synthesizer - John Barnes, Keyboards, Synthesizer - RANDY WALDMAN, Keyboards, Synthesizer - Big Jim Wright, Organ, Piano - Jonathan Mackeky, Piano - Steve Porcaro, Associated Performer - Annette Sanders, Associated Performer - Maxi Anderson, Associated Performer - Alan Shearman, Associated Performer - Anna Mathias, Associated Performer - Gregory Martin, Associated Performer - Dawn McMillan, Associated Performer - Phillip G. Proctor, Associated Performer - Susan Silo, Associated Performer - Jesse Corti, Associated Performer - Hattie Winston, Associated Performer - Maurice La Marche, Associated Performer - Rodger Bumpass, Associated Performer - Emily Bernstein, Associated Performer - Geoff Grace, Associated Performer - The Notorious B.I.G., Rap - Shaquille O'Neal, Rap - Paul Peabody, Violin - Colin Wolfe, Bass - Louis Johnson, Bass - Wayne Pedzwater, Bass - Keith Rouster, Bass - Doug Grigsby, Bass - Guy Pratt, Bass - Larry Williams, Horn - Gary Grant, Horn - Bill Reichenbach, Horn - Kim Hutchcroft, Horn Copyright : (P) 1995 MJJ Productions Inc.
Michael Jackson, Arranger, Associated Performer, Composer, Drums, Executive Producer, Guitar, Keyboards, Main Artist, Percussion, Producer, Synthesizer, Vocal Arranger - David Foster, Keyboards, Orchestrator, Piano, Producer, Synthesizer - Chuck Wild, Drums, Engineer, Executive Producer, Keyboards, Percussion, Synthesizer - M. Jackson, Composer, Lyricist - Bruce Swedien, Arranger, Drums, Executive Producer, Percussion, Recording Engineer - R. Kelly, Arranger, Keyboards, Synthesizer - Boyz II Men - Brad Buxer, Arranger, Associated Performer, Executive Producer, Keyboards, Piano, Synthesizer - Jimmy Jam, Arranger, Drum Programmer, Drums, Keyboards, Percussion, Synthesizer, Vocal Arranger - Nathan Morris - Terry Lewis, Arranger, Drum Programmer, Drums, Keyboards, Percussion, Synthesizer, Vocal Arranger - Wanya Morris - Shawn Stockman - Andrew Scheps, Drum Programmer, Engineer, Executive Producer - Eddie De Lena, Engineer, Mixing Engineer, Recording Engineer - Dallas Austin, Arranger, Keyboards, Synthesizer - Michael McCary - Matt Forger, Engineer, Executive Producer - Bryan Loren, Drums, Percussion - Carol Dennis - Jackie Gouche - Bill Bottrell, Drums, Engineer, Guitar, Keyboards, Percussion, Synthesizer - Dan Wallin, Engineer - Jeremy Lubbock, Arranger, Conductor - Johnny Mandel, Arranger - Gloria Augustus - René, Arranger, Drums, Keyboards, Percussion, Synthesizer - Linda McCrary - Brad Sundberg, Engineer - Andrae Crouch - Sandra Crouch - Andrae and Sandra Crouch adn the Andrae Crouch Singers - Elmer Bernstein, Conductor, Orchestrator - Jerry Hey, Arranger, Horn - Bobby Brooks, Drums, Engineer, Percussion - Steve Hodge, Engineer, Mixing Engineer, Recording Engineer - Bill Ross, Conductor, Orchestrator - Peter Mokran, Drum Programmer, Engineer - Susie Katayama, Conductor - Rob Hoffman, Assistant Engineer, Engineer, Guitar - Nile Rodgers, Guitar - Janet Jackson, Vocal Arranger - Harry Maslin, Engineer - Trevor Rabin, Guitar - Felipe El Gueta, Engineer - Paul Jackson Jr., Guitar - John Van Nest, Engineer - Steve Lukather, Guitar - Scott Pittinsky, Engineer - Michael Boddicker, Associated Performer, Engineer, Keyboards, Synthesizer - Jeff Mirinov, Guitar - Roberta Swedien, Engineer - Michael Thompson, Guitar - Jen Leigh, Guitar - Darryl Ross, Engineer - Brian Vibberts, Assistant Engineer - Tony Duino Black, Assistant Engineer - Jeff Taylor, Assistant Engineer - Gus Garces, Assistant Engineer - Buddy Williams, Drums, Percussion - Carl Nappa, Assistant Engineer - Jeff DeMorris, Assistant Engineer - CHRIS THEIS, Assistant Engineer - Simon Franglen, Drums, Keyboards, Percussion, Synthesizer - Trini Alvarez, Jr., Assistant Engineer - Glen Marchese, Assistant Engineer - CARL GLANVILLE, Assistant Engineer - Jim Champagne, Assistant Engineer - OMAR HAKIM, Drums, Percussion - Joshua Shapera, Assistant Engineer - Steve Ferrone, Drums, Percussion - Jamie Seyberth, Assistant Engineer - Ron Lowe, Assistant Engineer - Ryan Arnold, Assistant Engineer - Gabriel Sutter, Assistant Engineer - STEPHANIE GYLDEN, Assistant Engineer - Ben Wallach, Assistant Engineer - Rick Dasher, Assistant Engineer - Chris Roberts, Assistant Engineer - Bill Easystone, Assistant Engineer - Peter Germansen, Assistant Engineer - David Nottingham, Assistant Engineer - Julie Last, Assistant Engineer - Craig Johnson, Assistant Engineer - Bernie Grundman, Mastering Engineer - Steve "Yada" Porcaro, Keyboards, Synthesizer - David Paich, Bass, Keyboards, Synthesizer - Greg Phillinganes, Keyboards, Synthesizer - Lafayette Carthon, Keyboards, Synthesizer - John Barnes, Keyboards, Synthesizer - Rob Arbitter, Keyboards, Synthesizer - Gary Adante, Keyboards, Synthesizer - RANDY WALDMAN, Keyboards, Synthesizer - Big Jim Wright, Organ, Piano - Jonathan Mackeky, Piano - Annette Sanders, Associated Performer - Steve Porcaro, Associated Performer - Maxi Anderson, Associated Performer - Alan Shearman, Associated Performer - Anna Mathias, Associated Performer - Gregory Martin, Associated Performer - Dawn McMillan, Associated Performer - Phillip G. Proctor, Associated Performer - Susan Silo, Associated Performer - Jesse Corti, Associated Performer - Hattie Winston, Associated Performer - Maurice La Marche, Associated Performer - Rodger Bumpass, Associated Performer - Emily Bernstein, Associated Performer - Geoff Grace, Associated Performer - The Notorious B.I.G., Rap - Shaquille O'Neal, Rap - Paul Peabody, Violin - Keith Rouster, Bass - Colin Wolfe, Bass - Doug Grigsby, Bass - Guy Pratt, Bass - Louis Johnson, Bass - Larry Williams, Horn - Wayne Pedzwater, Bass - Gary Grant, Horn - Bill Reichenbach, Horn - Kim Hutchcroft, Horn Copyright : (P) 1995 Sony Music Entertainment Inc.
Michael Jackson, Arranger, Associated Performer, Drums, Executive Producer, Guitar, Keyboards, Main Artist, Percussion, Producer, Synthesizer, Vocal Arranger - David Foster, Keyboards, Orchestrator, Piano, Producer, Synthesizer - Words by John Turner, Composer, Lyricist - R. Kelly, Arranger, Keyboards, Synthesizer - Geoffrey Parsons, Composer, Lyricist - Boyz II Men - Chuck Wild, Drums, Engineer, Executive Producer, Keyboards, Percussion, Synthesizer - Charles Chaplin, Composer, Lyricist - Nathan Morris - Bruce Swedien, Arranger, Drums, Executive Producer, Percussion, Recording Engineer - Wanya Morris - Brad Buxer, Arranger, Associated Performer, Executive Producer, Keyboards, Piano, Synthesizer - Shawn Stockman - Andrew Scheps, Drum Programmer, Engineer, Executive Producer - Michael McCary - Matt Forger, Engineer, Executive Producer - Bryan Loren, Drums, Percussion - Jimmy Jam, Arranger, Drum Programmer, Drums, Keyboards, Percussion, Synthesizer, Vocal Arranger - Carol Dennis - Eddie De Lena, Engineer, Mixing Engineer, Recording Engineer - Terry Lewis, Arranger, Drum Programmer, Drums, Keyboards, Percussion, Synthesizer, Vocal Arranger - Jackie Gouche - Bill Bottrell, Drums, Engineer, Guitar, Keyboards, Percussion, Synthesizer - Dallas Austin, Arranger, Keyboards, Synthesizer - Gloria Augustus - Linda McCrary - Brad Sundberg, Engineer - Dan Wallin, Engineer - Andrae Crouch - Sandra Crouch - Andrae and Sandra Crouch adn the Andrae Crouch Singers - Elmer Bernstein, Conductor, Orchestrator - Jeremy Lubbock, Arranger, Conductor - Steve Hodge, Engineer, Mixing Engineer, Recording Engineer - Bill Ross, Conductor, Orchestrator - Johnny Mandel, Arranger - Peter Mokran, Drum Programmer, Engineer - Susie Katayama, Conductor - René, Arranger, Drums, Keyboards, Percussion, Synthesizer - Rob Hoffman, Assistant Engineer, Engineer, Guitar - Nile Rodgers, Guitar - Bobby Brooks, Drums, Engineer, Percussion - Trevor Rabin, Guitar - Felipe El Gueta, Engineer - Paul Jackson Jr., Guitar - Jerry Hey, Arranger, Horn - John Van Nest, Engineer - Steve Lukather, Guitar - Harry Maslin, Engineer - Janet Jackson, Vocal Arranger - Michael Boddicker, Associated Performer, Engineer, Keyboards, Synthesizer - Jeff Mirinov, Guitar - Scott Pittinsky, Engineer - Michael Thompson, Guitar - Roberta Swedien, Engineer - Jen Leigh, Guitar - Darryl Ross, Engineer - Brian Vibberts, Assistant Engineer - Tony Duino Black, Assistant Engineer - Gus Garces, Assistant Engineer - Carl Nappa, Assistant Engineer - Buddy Williams, Drums, Percussion - Jeff DeMorris, Assistant Engineer - Jeff Taylor, Assistant Engineer - Simon Franglen, Drums, Keyboards, Percussion, Synthesizer - Trini Alvarez, Jr., Assistant Engineer - Glen Marchese, Assistant Engineer - CHRIS THEIS, Assistant Engineer - Jim Champagne, Assistant Engineer - OMAR HAKIM, Drums, Percussion - Joshua Shapera, Assistant Engineer - Steve Ferrone, Drums, Percussion - Ron Lowe, Assistant Engineer - CARL GLANVILLE, Assistant Engineer - Ryan Arnold, Assistant Engineer - Jamie Seyberth, Assistant Engineer - STEPHANIE GYLDEN, Assistant Engineer - Ben Wallach, Assistant Engineer - Rick Dasher, Assistant Engineer - Gabriel Sutter, Assistant Engineer - Bill Easystone, Assistant Engineer - Peter Germansen, Assistant Engineer - David Nottingham, Assistant Engineer - Chris Roberts, Assistant Engineer - Julie Last, Assistant Engineer - Craig Johnson, Assistant Engineer - Bernie Grundman, Mastering Engineer - Steve "Yada" Porcaro, Keyboards, Synthesizer - David Paich, Bass, Keyboards, Synthesizer - Greg Phillinganes, Keyboards, Synthesizer - Lafayette Carthon, Keyboards, Synthesizer - Rob Arbitter, Keyboards, Synthesizer - Gary Adante, Keyboards, Synthesizer - John Barnes, Keyboards, Synthesizer - RANDY WALDMAN, Keyboards, Synthesizer - Big Jim Wright, Organ, Piano - Jonathan Mackeky, Piano - Steve Porcaro, Associated Performer - Annette Sanders, Associated Performer - Maxi Anderson, Associated Performer - Alan Shearman, Associated Performer - Anna Mathias, Associated Performer - Gregory Martin, Associated Performer - Dawn McMillan, Associated Performer - Phillip G. Proctor, Associated Performer - Susan Silo, Associated Performer - Jesse Corti, Associated Performer - Hattie Winston, Associated Performer - Maurice La Marche, Associated Performer - Rodger Bumpass, Associated Performer - Emily Bernstein, Associated Performer - Geoff Grace, Associated Performer - The Notorious B.I.G., Rap - Shaquille O'Neal, Rap - Paul Peabody, Violin - Colin Wolfe, Bass - Louis Johnson, Bass - Wayne Pedzwater, Bass - Keith Rouster, Bass - Doug Grigsby, Bass - Guy Pratt, Bass - Larry Williams, Horn - Gary Grant, Horn - Bill Reichenbach, Horn - Kim Hutchcroft, Horn Copyright : (P) 1995 MJJ Productions Inc.
Michael Jackson, Associated Performer, Main Artist, Producer - Michael J. Jackson, Composer, Lyricist - Teddy Riley, Composer, Keyboards, Lyricist, Producer, Synthesizer - R. Kelly, Keyboards, Synthesizer - Nathan Morris - Wanya Morris - Shawn Stockman - Michael McCary - Bryan Loren, Drums, Percussion - Andrae Crouch - Sandra Crouch - The Andrae Crouch Sisters - Carol Dennis - Jackie Gouche - Gloria Augustus - Linda McCrary - Slash, Guitar - Nile Rodgers, Guitar - Trevor Rabin, Guitar - Paul Jackson Jr., Guitar - Steve Lukather, Guitar - Bill Bottrell, Drums, Guitar, Keyboards, Percussion, Synthesizer - Jeff Mirinov, Guitar - Rob Hoffman, Guitar - Michael Thompson, Guitar - Jen Leigh, Guitar - Jimmy Jam, Drums, Keyboards, Percussion - Terry Lewis, Drums, Keyboards, Percussion, Synthesizer - Buddy Williams, Drums, Percussion - Bruce Swedien, Drums, Percussion - Simon Franglen, Drums, Keyboards, Percussion, Synthesizer - René, Drums, Keyboards, Percussion, Synthesizer - Chuck Wild, Drums, Keyboards, Percussion, Synthesizer - Bobby Brooks, Drums, Percussion - OMAR HAKIM, Drums, Percussion - Steve Ferrone, Drums, Percussion - Brad Buxer, Keyboards, Piano, Synthesizer - David Foster, Keyboards, Piano, Synthesizer - Steve Porcaro, Keyboards, Synthesizer - David Paich, Bass, Keyboards, Synthesizer - Dallas Austin, Keyboards, Synthesizer - Greg Phillinganes, Keyboards, Synthesizer - Lafayette Carthon, Keyboards, Synthesizer - Michael Boddicker, Keyboards, Synthesizer - Rob Arbittier, Keyboards, Synthesizer - Gary Adante, Keyboards, Synthesizer - John Barnes, Keyboards, Synthesizer - RANDY WALDMAN, Keyboards, Synthesizer - Big Wright, Organ, Piano - Jonathan Mackey, Piano - The Notorious B.I.G., Rap - Shaquille O'Neal, Rap - Paul Peabody, Violin - Colin Wolfe, Bass - Louis Johnson, Bass - Wayne Pedzwater, Bass - Keith Rouster, Bass - Doug Grigsby, Bass - Guy Pratt, Bass - Larry Williams, Horn - Jerry Hey, Horn - Gary Grant, Horn - Bill Reichenbach, Horn - Kim Hutchcroft, Horn Copyright : (P) 1997 MJJ Productions, Inc.
Michael Jackson, Arranger, Associated Performer, Composer, Drums, Guitar, Main Artist, Percussion, Producer, Vocal Arranger - Tony Moran, Producer, Re-Mixer - M. Jackson, Composer, Lyricist - Bob Rosa, Mixing Engineer, Producer - Brad Buxer, Arranger, Keyboards, Percussion, Piano, Synthesizer - Keith Cohen, Engineer, Keyboards, Mixing Engineer - Bill Bottrell, Drums, Guitar, Keyboards, Percussion, Synthesizer - Eddie De Lena, Engineer - Jon Mooney, Assistant Engineer - MICK GUZAUSKI, Engineer - R. Kelly, Arranger, Keyboards, Synthesizer - Jimmy Jam, Arranger, Drum Programmer, Drums, Keyboards, Percussion, Vocal Arranger - Tim Boyle, Engineer - Nathan Morris - Terry Lewis, Arranger, Drum Programmer, Drums, Keyboards, Percussion, Synthesizer, Vocal Arranger - Tony Coluccio, Engineer, Programmer - Wanya Morris - Dallas Austin, Arranger, Keyboards, Synthesizer - Rob Hoffman, Assistant Engineer, Guitar - Shawn Stockman - Bruce Swedien, Arranger, Drums, Percussion - Tony Duino Black, Assistant Engineer - Michael McCary - Bryan Loren, Drums, Percussion - René, Arranger, Drums, Keyboards, Percussion, Synthesizer - Paul Dicato, Assistant Engineer - Andrae Crouch, Associated Performer - Jeremy Lubbock, Arranger, Conductor - Steve Baughman, Assistant Engineer - Sandra Crouch, Associated Performer - John Rodd, Assistant Engineer - The Andrae Crouch Sisters - Johnny Mandel, Arranger - GREG BURNS, Assistant Engineer - Carol Dennis, Associated Performer - George Del Barrio, Arranger - Jackie Gouche, Associated Performer - Jerry Hey, Arranger, Horn - Gloria Augustus, Associated Performer - Andrew Scheps, Drum Programmer, Programmer - Linda McCrary, Associated Performer - Janet Jackson, Vocal Arranger - Jorge Del Barrio, Conductor, Orchestrator - Bernie Grundman, Mastering Engineer - Elmer Bernstein, Conductor, Orchestrator - Statik Synclavier, Drum Programmer - David Foster, Keyboards, Orchestrator, Piano, Synthesizer - Bill Ross, Conductor, Orchestrator - Susie Katayama, Conductor - Peter Morkan, Drum Programmer - Slash, Guitar - Nile Rodgers, Guitar - Trevor Rabin, Guitar - Paul Jackson Jr., Guitar - Steve Lukather, Guitar - Jeff Mirinov, Guitar - Michael Thompson, Guitar - Jen Leigh, Guitar - Buddy Williams, Drums, Percussion - Simon Franglen, Drums, Keyboards, Percussion, Synthesizer - Chuck Wild, Drums, Keyboards, Percussion, Synthesizer - Bobby Brooks, Drums, Percussion - OMAR HAKIM, Drums, Percussion - Steve Ferrone, Drums, Percussion - Steve Porcaro, Keyboards, Synthesizer - David Paich, Bass, Keyboards, Synthesizer - Greg Phillinganes, Keyboards, Synthesizer - Lafayette Carthon, Keyboards, Synthesizer - Michael Boddicker, Keyboards, Synthesizer - Rob Arbittier, Keyboards, Synthesizer - Gary Adante, Keyboards, Synthesizer - John Barnes, Keyboards, Synthesizer - RANDY WALDMAN, Keyboards, Synthesizer - Big Wright, Organ, Piano - Jonathan Mackey, Piano - Maxi Anderson, Associated Performer - Angela Hackworth-Brown, Associated Performer - Kristle Edwards, Associated Performer - Geary Lanier, Associated Performer - Kathy Hazzard, Associated Performer - Ricky Nelson, Associated Performer - Randy Phillips, Associated Performer - Howard Smith, Associated Performer - Jonathan Webb, Associated Performer - Yvonne Williams, Associated Performer - Enda Wright, Associated Performer - The Notorious B.I.G., Rap - Shaquille O'Neal, Rap - Robert Chausow, Violin - Endre Granat, Violin - Murray Alder, Violin - Jackie Brand, Violin - Darius Campo, Violin - Ron Clark, Violin - Kirstin Fife, Violin - Liane Mautner, Violin - Marisa McLeod, Violin - Frances Moore, Violin - Maria Newman, Violin - Barbra Porter, Violin - Bob Sanov, Violin - Marc Sazer, Violin - Haim Shtrum, Violin - Olivia Tsui, Violin - Jennifer Walton, Violin - Paul Peabody, Violin - Drew Dembowski, Bass - Richard Feves, Bass - Frances Liu, Bass - Colin Wolfe, Bass - Louis Johnson, Bass - Wayne Pedzwater, Bass - Keith Rouster, Bass - Guy Pratt, Bass - Doug Grigsby, Bass - Juliet Haffner, Viola - Carole Mukogawa, Viola - Bob Becker, Viola - Karen Elaine, Viola - Mimi Granat, Viola - Renita Koven, Viola - Robin Ross, Viola - John Scanlon, Viola - Ray Tischer, Viola - Steve Erdody, Cello - Chris Ermacoff, Cello - Anne Karam, Cello - Tim Landauer, Cello - Miguel Martinez, Cello - Tina Soule, Cello - Katie Kirkpatrick, Harp - Dan Lozano, Flute - Valerie King, Flute - Larry Williams, Horn - Gary Grant, Horn - Bill Reichenbach, Horn - Kim Hutchcroft, Horn Copyright : (P) 1997 MJJ Productions Inc.
Michael Jackson, Arranger, Associated Performer, Composer, Main Artist, Producer, Vocal Arranger - Bryan Loren, Arranger, Composer, Drum Programmer, Drums, Guitar, Keyboards, Percussion, Producer, Programmer, Synthesizer - R. Kelly, Arranger, Keyboards, Synthesizer - Tony Moran, Producer, Re-Mixer - M. Jackson, Composer, Lyricist - Nathan Morris - Bob Rosa, Mixing Engineer, Producer - B. Loren, Composer, Lyricist - Tony Coluccio, Engineer, Programmer - Wanya Morris - Bart Stevens, Assistant Engineer - Shawn Stockman - Paul Dicato, Assistant Engineer - Michael McCary - DAVE WAY, Mixing Engineer, Recording Engineer - Andrae Crouch - Jimmy Jam, Arranger, Drum Programmer, Drums, Keyboards, Percussion, Vocal Arranger - Sandra Crouch - Terry Lewis, Arranger, Drum Programmer, Drums, Keyboards, Percussion, Synthesizer, Vocal Arranger - The Andrae Crouch Sisters - Dallas Austin, Arranger, Keyboards, Synthesizer - Bernie Grundman, Mastering Engineer - Carol Dennis - Bruce Swedien, Arranger, Drums, Percussion - Jackie Gouche - Richard Cottrell, Recording Engineer - Gloria Augustus - René, Arranger, Drums, Keyboards, Percussion, Synthesizer - Linda McCrary - Jeremy Lubbock, Arranger, Conductor - Elmer Bernstein, Conductor, Orchestrator - Brad Buxer, Arranger, Keyboards, Piano, Synthesizer - Johnny Mandel, Arranger - Peter Morkan, Drum Programmer - Bill Ross, Conductor, Orchestrator - George Del Barrio, Arranger - Andrew Scheps, Drum Programmer - Susie Katayama, Conductor - Jerry Hey, Arranger, Horn - Slash, Guitar - Janet Jackson, Vocal Arranger - Nile Rodgers, Guitar - Trevor Rabin, Guitar - Paul Jackson Jr., Guitar - David Foster, Keyboards, Orchestrator, Piano, Synthesizer - Steve Lukather, Guitar - Bill Bottrell, Drums, Guitar, Keyboards, Percussion, Synthesizer - Jeff Mirinov, Guitar - Rob Hoffman, Guitar - Michael Thompson, Guitar - Jen Leigh, Guitar - Buddy Williams, Drums, Percussion - Simon Franglen, Drums, Keyboards, Percussion, Synthesizer - Chuck Wild, Drums, Keyboards, Percussion, Synthesizer - Bobby Brooks, Drums, Percussion - OMAR HAKIM, Drums, Percussion - Steve Ferrone, Drums, Percussion - Steve Porcaro, Keyboards, Synthesizer - David Paich, Bass, Keyboards, Synthesizer - Greg Phillinganes, Keyboards, Synthesizer - Lafayette Carthon, Keyboards, Synthesizer - Michael Boddicker, Keyboards, Synthesizer - Rob Arbittier, Keyboards, Synthesizer - Gary Adante, Keyboards, Synthesizer - John Barnes, Keyboards, Synthesizer - RANDY WALDMAN, Keyboards, Synthesizer - Big Wright, Organ, Piano - Jonathan Mackey, Piano - The Notorious B.I.G., Rap - Shaquille O'Neal, Rap - Paul Peabody, Violin - Colin Wolfe, Bass - Louis Johnson, Bass - Wayne Pedzwater, Bass - Keith Rouster, Bass - Guy Pratt, Bass - Doug Grigsby, Bass - Larry Williams, Horn - Gary Grant, Horn - Bill Reichenbach, Horn - Kim Hutchcroft, Horn Copyright : 1997 MJJ Productions, Inc.
Michael Jackson, Associated Performer, Composer, Main Artist, Producer, Vocal Arranger - Teddy Riley, Composer, Engineer, Keyboards, Producer, Synthesizer - R. Kelly, Arranger, Keyboards, Synthesizer - Nathan Morris - Tony Moran, Producer, Re-Mixer - M. Jackson, Composer, Lyricist - Wanya Morris - Bob Rosa, Mixing Engineer, Producer - T. Riley, Composer, Lyricist - Shawn Stockman - Eddie DeLena, Engineer - Michael McCary - Bryan Loren, Drums, Percussion - Bobby Brooks, Drums, Engineer, Percussion - Andrae Crouch - Matt Forger, Engineer - Sandra Crouch - Jimmy Jam, Arranger, Drum Programmer, Drums, Keyboards, Percussion, Vocal Arranger - Andrew Scheps, Drum Programmer, Engineer - The Andrae Crouch Sisters - Terry Lewis, Arranger, Drum Programmer, Drums, Keyboards, Percussion, Synthesizer, Vocal Arranger - Armand Volker, Engineer - Carol Dennis - Dallas Austin, Arranger, Keyboards, Synthesizer - Albert Boekholt, Engineer - Tony Coluccio, Engineer, Programmer - Jackie Gouche - Bruce Swedien, Arranger, Drums, Percussion - Gloria Augustus - Tony Black, Assistant Engineer - Mike Scotell, Assistant Engineer - Linda McCrary - René, Arranger, Drums, Keyboards, Percussion, Synthesizer - Greg Collins, Assistant Engineer - Elmer Bernstein, Conductor, Orchestrator - Jeremy Lubbock, Arranger, Conductor - Gerd Krenz, Assistant Engineer - Brad Buxer, Arranger, Keyboards, Piano, Synthesizer - Patrick Ulenberg, Assistant Engineer - Bill Ross, Conductor, Orchestrator - Johnny Mandel, Arranger - Paul Dicato, Assistant Engineer - Susie Katayama, Conductor - George Del Barrio, Arranger - Andy Strange, Assistant Engineer - Slash, Guitar - Jerry Hey, Arranger, Horn - Rob Hoffman, Assistant Engineer, Drum Programmer, Guitar - Nile Rodgers, Guitar - Tom Bender, Assistant Engineer - Trevor Rabin, Guitar - Janet Jackson, Vocal Arranger - Paul Jackson Jr., Guitar - DAVE WAY, Mixing Engineer - Steve Lukather, Guitar - Bill Bottrell, Drums, Guitar, Keyboards, Percussion, Synthesizer - David Foster, Keyboards, Orchestrator, Piano, Synthesizer - Bernie Grundman, Mastering Engineer - Jeff Mirinov, Guitar - Matt Carpenter, Drum Programmer - Doug Grigsby, Bass, Drum Programmer, Keyboards - Michael Thompson, Guitar - Jen Leigh, Guitar - Alex Breuer, Drum Programmer - Peter Morkan, Drum Programmer - Buddy Williams, Drums, Percussion - Simon Franglen, Drums, Keyboards, Percussion, Synthesizer - Chuck Wild, Drums, Keyboards, Percussion, Synthesizer - OMAR HAKIM, Drums, Percussion - Steve Ferrone, Drums, Percussion - Steve Porcaro, Keyboards, Synthesizer - David Paich, Bass, Keyboards, Synthesizer - Greg Phillinganes, Keyboards, Synthesizer - Lafayette Carthon, Keyboards, Synthesizer - Michael Boddicker, Keyboards, Synthesizer - Rob Arbittier, Keyboards, Synthesizer - Gary Adante, Keyboards, Synthesizer - John Barnes, Keyboards, Synthesizer - RANDY WALDMAN, Keyboards, Synthesizer - Big Wright, Organ, Piano - Jonathan Mackey, Piano - Dout Grigsby, Synthesizer - The Notorious B.I.G., Rap - Shaquille O'Neal, Rap - Paul Peabody, Violin - Colin Wolfe, Bass - Louis Johnson, Bass - Wayne Pedzwater, Bass - Keith Rouster, Bass - Guy Pratt, Bass - Larry Williams, Horn - Gary Grant, Horn - Bill Reichenbach, Horn - Kim Hutchcroft, Horn Copyright : (P)1997 MJJ Productions, Inc.
Michael Jackson, Arranger, Associated Performer, Composer, Main Artist, Producer, Vocal Arranger - Jimmy Jam, Arranger, Associated Performer, Drum Programmer, Drums, Keyboards, Percussion, Producer, Vocal Arranger - M. Jackson, Composer, Lyricist - R. Kelly, Arranger, Keyboards, Synthesizer - J. Harris III, Composer, Lyricist - Terry Lewis, Arranger, Associated Performer, Composer, Drum Programmer, Drums, Keyboards, Percussion, Producer, Synthesizer, Vocal Arranger - Nathan Morris - T. Lewis, Composer, Lyricist - Wanya Morris - Tony Moran, Producer, Re-Mixer - James Harris III, Composer - Shawn Stockman - Bob Rosa, Mixing Engineer, Producer - Tony Coluccio, Engineer, Programmer - Michael McCary - Brad Yost , Assistant Engineer - Bryan Loren, Drums, Percussion - Xavier Smith , Assistant Engineer - Andrae Crouch - Ryan Arnold, Assistant Engineer - Sandra Crouch - Steve Baughman, Assistant Engineer - The Andrae Crouch Sisters - STEVE DURKEE, Assistant Engineer - Carol Dennis - Jackie Gouche - Gloria Augustus - Jimmy Jackson, Arranger - Bernie Grundman, Mastering Engineer - Linda McCrary - Elmer Bernstein, Conductor, Orchestrator - Steve Hodge, Recording Engineer - Jeff Taylor, Drum Programmer - Jeremy Lubbock, Arranger, Conductor - Dallas Austin, Arranger, Keyboards, Synthesizer - Bill Ross, Conductor, Orchestrator - Bruce Swedien, Arranger, Drums, Percussion - Susie Katayama, Conductor - Peter Morkan, Drum Programmer - Slash, Guitar - René, Arranger, Drums, Keyboards, Percussion, Synthesizer - Andrew Scheps, Drum Programmer - Nile Rodgers, Guitar - Trevor Rabin, Guitar - Brad Buxer, Arranger, Keyboards, Piano, Synthesizer - Paul Jackson Jr., Guitar - Johnny Mandel, Arranger - Steve Lukather, Guitar - George Del Barrio, Arranger - Bill Bottrell, Drums, Guitar, Keyboards, Percussion, Synthesizer - Jerry Hey, Arranger, Horn - Jeff Mirinov, Guitar - Rob Hoffman, Guitar - Janet Jackson, Vocal Arranger - Michael Thompson, Guitar - Jen Leigh, Guitar - David Foster, Keyboards, Orchestrator, Piano, Synthesizer - Buddy Williams, Drums, Percussion - Simon Franglen, Drums, Keyboards, Percussion, Synthesizer - Chuck Wild, Drums, Keyboards, Percussion, Synthesizer - Bobby Brooks, Drums, Percussion - OMAR HAKIM, Drums, Percussion - Steve Ferrone, Drums, Percussion - Steve Porcaro, Keyboards, Synthesizer - David Paich, Bass, Keyboards, Synthesizer - Greg Phillinganes, Keyboards, Synthesizer - Lafayette Carthon, Keyboards, Synthesizer - Michael Boddicker, Keyboards, Synthesizer - Rob Arbittier, Keyboards, Synthesizer - Gary Adante, Keyboards, Synthesizer - John Barnes, Keyboards, Synthesizer - RANDY WALDMAN, Keyboards, Synthesizer - Big Wright, Organ, Piano - Jonathan Mackey, Piano - The Notorious B.I.G., Rap - Shaquille O'Neal, Rap - Paul Peabody, Violin - Colin Wolfe, Bass - Louis Johnson, Bass - Wayne Pedzwater, Bass - Keith Rouster, Bass - Guy Pratt, Bass - Doug Grigsby, Bass - Larry Williams, Horn - Gary Grant, Horn - Bill Reichenbach, Horn - Kim Hutchcroft, Horn Copyright : (P)1997 MJJ Productions, Inc.
Michael Jackson, Associated Performer, Main Artist, Producer - Jimmy Jam, Arranger, Drum Programmer, Drums, Keyboards, Percussion, Producer, Vocal Arranger - Janet Jackson, Producer, Vocal Arranger - J. Harris III, Composer, Lyricist - T. Lewis, Composer, Lyricist - R. Kelly, Arranger, Keyboards, Synthesizer - M. Jackson, Composer, Lyricist - Terry Lewis, Arranger, Drum Programmer, Drums, Keyboards, Percussion, Producer, Synthesizer, Vocal Arranger - Nathan Morris - J. Jackson, Composer, Lyricist - Wanya Morris - Tony Moran, Producer, Re-Mixer - S. Stewart, Composer, Lyricist - Shawn Stockman - Bob Rosa, Mixing Engineer, Producer - Tony Coluccio, Engineer, Programmer - Michael McCary - Bryan Loren, Drums, Percussion - Andrae Crouch - Bernie Grundman, Mastering Engineer - Sandra Crouch - The Andrae Crouch Sisters - Carol Dennis - Peter Morkan, Drum Programmer - Jackie Gouche - Dallas Austin, Arranger, Keyboards, Synthesizer - Andrew Scheps, Drum Programmer - Gloria Augustus - Bruce Swedien, Arranger, Drums, Percussion - Linda McCrary - Elmer Bernstein, Conductor, Orchestrator - René, Arranger, Drums, Keyboards, Percussion, Synthesizer - Jeremy Lubbock, Arranger, Conductor - Bill Ross, Conductor, Orchestrator - Brad Buxer, Arranger, Keyboards, Piano, Synthesizer - Susie Katayama, Conductor - Johnny Mandel, Arranger - Slash, Guitar - George Del Barrio, Arranger - Nile Rodgers, Guitar - Jerry Hey, Arranger, Horn - Trevor Rabin, Guitar - Paul Jackson Jr., Guitar - Steve Lukather, Guitar - Bill Bottrell, Drums, Guitar, Keyboards, Percussion, Synthesizer - David Foster, Keyboards, Orchestrator, Piano, Synthesizer - Jeff Mirinov, Guitar - Rob Hoffman, Guitar - Michael Thompson, Guitar - Jen Leigh, Guitar - Buddy Williams, Drums, Percussion - Simon Franglen, Drums, Keyboards, Percussion, Synthesizer - Chuck Wild, Drums, Keyboards, Percussion, Synthesizer - Bobby Brooks, Drums, Percussion - OMAR HAKIM, Drums, Percussion - Steve Ferrone, Drums, Percussion - Steve Porcaro, Keyboards, Synthesizer - David Paich, Bass, Keyboards, Synthesizer - Greg Phillinganes, Keyboards, Synthesizer - Lafayette Carthon, Keyboards, Synthesizer - Michael Boddicker, Keyboards, Synthesizer - Rob Arbittier, Keyboards, Synthesizer - Gary Adante, Keyboards, Synthesizer - John Barnes, Keyboards, Synthesizer - RANDY WALDMAN, Keyboards, Synthesizer - Big Wright, Organ, Piano - Jonathan Mackey, Piano - The Notorious B.I.G., Rap - Shaquille O'Neal, Rap - Paul Peabody, Violin - Colin Wolfe, Bass - Louis Johnson, Bass - Wayne Pedzwater, Bass - Keith Rouster, Bass - Guy Pratt, Bass - Doug Grigsby, Bass - Larry Williams, Horn - Gary Grant, Horn - Bill Reichenbach, Horn - Kim Hutchcroft, Horn Copyright : 1995 MJJ Productions, Inc.
Michael Jackson, Associated Performer, Main Artist, Producer - R. Kelly, Arranger, Keyboards, Synthesizer - M. Jackson, Composer, Lyricist - Nathan Morris - Tony Moran, Producer, Re-Mixer - Wanya Morris - Bob Rosa, Mixing Engineer, Producer - Jimmy Jam, Arranger, Drum Programmer, Drums, Keyboards, Percussion, Vocal Arranger - Gary Wilkinson, Engineer - Shawn Stockman - Terry Lewis, Arranger, Drum Programmer, Drums, Keyboards, Percussion, Synthesizer, Vocal Arranger - Tony Coluccio, Engineer, Programmer - Michael McCary - Dallas Austin, Arranger, Keyboards, Synthesizer - Bryan Loren, Drums, Percussion - Bruce Swedien, Arranger, Drums, Percussion - Andrae Crouch - Bernie Grundman, Mastering Engineer - Sandra Crouch - René, Arranger, Drums, Keyboards, Percussion, Synthesizer - The Andrae Crouch Sisters - Jeremy Lubbock, Arranger, Conductor - Carol Dennis - Brad Buxer, Arranger, Keyboards, Piano, Synthesizer - Peter Morkan, Drum Programmer - Jackie Gouche - Johnny Mandel, Arranger - Andrew Scheps, Drum Programmer - Gloria Augustus - George Del Barrio, Arranger - Linda McCrary - Jerry Hey, Arranger, Horn - Elmer Bernstein, Conductor, Orchestrator - Janet Jackson, Vocal Arranger - Bill Ross, Conductor, Orchestrator - David Foster, Keyboards, Orchestrator, Piano, Synthesizer - Susie Katayama, Conductor - Slash, Guitar - Nile Rodgers, Guitar - Trevor Rabin, Guitar - Paul Jackson Jr., Guitar - Steve Lukather, Guitar - Bill Bottrell, Drums, Guitar, Keyboards, Percussion, Synthesizer - Jeff Mirinov, Guitar - Rob Hoffman, Guitar - Michael Thompson, Guitar - Jen Leigh, Guitar - Buddy Williams, Drums, Percussion - Simon Franglen, Drums, Keyboards, Percussion, Synthesizer - Chuck Wild, Drums, Keyboards, Percussion, Synthesizer - Bobby Brooks, Drums, Percussion - OMAR HAKIM, Drums, Percussion - Steve Ferrone, Drums, Percussion - Steve Porcaro, Keyboards, Synthesizer - David Paich, Bass, Keyboards, Synthesizer - Greg Phillinganes, Keyboards, Synthesizer - Lafayette Carthon, Keyboards, Synthesizer - Michael Boddicker, Keyboards, Synthesizer - Rob Arbittier, Keyboards, Synthesizer - Gary Adante, Keyboards, Synthesizer - John Barnes, Keyboards, Synthesizer - RANDY WALDMAN, Keyboards, Synthesizer - Big Wright, Organ, Piano - Jonathan Mackey, Piano - The Notorious B.I.G., Rap - Shaquille O'Neal, Rap - Paul Peabody, Violin - Colin Wolfe, Bass - Louis Johnson, Bass - Wayne Pedzwater, Bass - Keith Rouster, Bass - Guy Pratt, Bass - Doug Grigsby, Bass - Larry Williams, Horn - Gary Grant, Horn - Bill Reichenbach, Horn - Kim Hutchcroft, Horn Copyright : 1997 MJJ Productions, Inc.
Michael Jackson, Associated Performer, Main Artist, Producer - R. Kelly, Arranger, Keyboards, Synthesizer - M. Jackson, Composer, Lyricist - Jimmy Jam, Arranger, Drum Programmer, Drums, Keyboards, Percussion, Producer, Vocal Arranger - Nathan Morris - B. Swedien, Composer - Terry Lewis, Arranger, Drum Programmer, Drums, Keyboards, Percussion, Producer, Synthesizer, Vocal Arranger - Wanya Morris - René, Arranger, Composer, Drums, Keyboards, Percussion, Synthesizer - Shawn Stockman - Te-Bass, Bass, Producer - D. Austin, Composer - Michael McCary - Pras, Producer - Bryan Loren, Drums, Percussion - Tony Moran, Producer, Re-Mixer - Andrae Crouch - Bob Rosa, Mixing Engineer, Producer - WARREN RIKER, Engineer, Mixing Engineer - Sandra Crouch - Dallas Austin, Arranger, Keyboards, Synthesizer - Tony Coluccio, Engineer, Programmer - The Andrae Crouch Sisters - Bruce Swedien, Arranger, Drums, Percussion - Carol Dennis - Jackie Gouche - Gloria Augustus - Jeremy Lubbock, Arranger, Conductor - Bernie Grundman, Mastering Engineer - Linda McCrary - Brad Buxer, Arranger, Keyboards, Piano, Synthesizer - Elmer Bernstein, Conductor, Orchestrator - Johnny Mandel, Arranger - George Del Barrio, Arranger - Peter Morkan, Drum Programmer - Bill Ross, Conductor, Orchestrator - Jerry Hey, Arranger, Horn - Andrew Scheps, Drum Programmer - Susie Katayama, Conductor - Janet Jackson, Vocal Arranger - Wyclef Jean, Guitar, Re-Mixer - Slash, Guitar - Nile Rodgers, Guitar - David Foster, Keyboards, Orchestrator, Piano, Synthesizer - Trevor Rabin, Guitar - Paul Jackson Jr., Guitar - Steve Lukather, Guitar - Bill Bottrell, Drums, Guitar, Keyboards, Percussion, Synthesizer - Jeff Mirinov, Guitar - Rob Hoffman, Guitar - Michael Thompson, Guitar - Jen Leigh, Guitar - Buddy Williams, Drums, Percussion - Simon Franglen, Drums, Keyboards, Percussion, Synthesizer - Chuck Wild, Drums, Keyboards, Percussion, Synthesizer - Bobby Brooks, Drums, Percussion - OMAR HAKIM, Drums, Percussion - Steve Ferrone, Drums, Percussion - Steve Porcaro, Keyboards, Synthesizer - David Paich, Bass, Keyboards, Synthesizer - Greg Phillinganes, Keyboards, Synthesizer - Lafayette Carthon, Keyboards, Synthesizer - Michael Boddicker, Keyboards, Synthesizer - Rob Arbittier, Keyboards, Synthesizer - Gary Adante, Keyboards, Synthesizer - John Barnes, Keyboards, Synthesizer - RANDY WALDMAN, Keyboards, Synthesizer - Big Wright, Organ, Piano - Jonathan Mackey, Piano - Funkmaster Flex, Scratches - John Forte, Rap - The Notorious B.I.G., Rap - Shaquille O'Neal, Rap - Paul Peabody, Violin - Colin Wolfe, Bass - Louis Johnson, Bass - Wayne Pedzwater, Bass - Keith Rouster, Bass - Guy Pratt, Bass - Doug Grigsby, Bass - Larry Williams, Horn - Gary Grant, Horn - Bill Reichenbach, Horn - Kim Hutchcroft, Horn Copyright : (P)1997 MJJ Productions, Inc.
Michael Jackson, Associated Performer, Main Artist, Producer - Michael McCary - M. Jackson, Composer, Lyricist - Jimmy Jam, Arranger, Drum Programmer, Drums, Keyboards, Percussion, Vocal Arranger - Bryan Loren, Drums, Percussion - Terry Lewis, Arranger, Drum Programmer, Drums, Keyboards, Percussion, Synthesizer, Vocal Arranger - Andrae Crouch - Peter Morkan, Drum Programmer - Sandra Crouch - Andrew Scheps, Drum Programmer - The Andrae Crouch Sisters - Dallas Austin, Arranger, Keyboards, Synthesizer - Carol Dennis - Bruce Swedien, Arranger, Drums, Percussion - Jackie Gouche - R. Kelly, Arranger, Keyboards, Synthesizer - Gloria Augustus - René, Arranger, Drums, Keyboards, Percussion, Synthesizer - Linda McCrary - Jeremy Lubbock, Arranger, Conductor - Elmer Bernstein, Conductor, Orchestrator - Brad Buxer, Arranger, Keyboards, Piano, Synthesizer - Johnny Mandel, Arranger - Bill Ross, Conductor, Orchestrator - George Del Barrio, Arranger - Susie Katayama, Conductor - Jerry Hey, Arranger, Horn - Slash, Guitar - Janet Jackson, Vocal Arranger - Nile Rodgers, Guitar - Trevor Rabin, Guitar - Paul Jackson Jr., Guitar - David Foster, Keyboards, Orchestrator, Piano, Synthesizer - Steve Lukather, Guitar - Bill Bottrell, Drums, Guitar, Keyboards, Percussion, Synthesizer - Jeff Mirinov, Guitar - Rob Hoffman, Guitar - Michael Thompson, Guitar - Jen Leigh, Guitar - Buddy Williams, Drums, Percussion - Simon Franglen, Drums, Keyboards, Percussion, Synthesizer - Chuck Wild, Drums, Keyboards, Percussion, Synthesizer - Bobby Brooks, Drums, Percussion - OMAR HAKIM, Drums, Percussion - Steve Ferrone, Drums, Percussion - Steve Porcaro, Keyboards, Synthesizer - David Paich, Bass, Keyboards, Synthesizer - Greg Phillinganes, Keyboards, Synthesizer - Lafayette Carthon, Keyboards, Synthesizer - Michael Boddicker, Keyboards, Synthesizer - Rob Arbittier, Keyboards, Synthesizer - Gary Adante, Keyboards, Synthesizer - John Barnes, Keyboards, Synthesizer - RANDY WALDMAN, Keyboards, Synthesizer - Big Wright, Organ, Piano - Jonathan Mackey, Piano - The Notorious B.I.G., Rap - Shaquille O'Neal, Rap - Paul Peabody, Violin - Colin Wolfe, Bass - Louis Johnson, Bass - Wayne Pedzwater, Bass - Keith Rouster, Bass - Guy Pratt, Bass - Doug Grigsby, Bass - Larry Williams, Horn - Gary Grant, Horn - Bill Reichenbach, Horn - Kim Hutchcroft, Horn Copyright : (P)1997 MJJ Productions, Inc.
Michael Jackson, Associated Performer, Main Artist, Producer - Dallas Austin, Arranger, Keyboards, Producer, Synthesizer - R. Kelly, Arranger, Keyboards, Synthesizer - D. Austin, Composer - Nathan Morris - M. Jackson, Lyricist - Wanya Morris - Tony Moran, Producer, Re-Mixer - Paul Shapiro, Arranger - Shawn Stockman - Bob Rosa, Mixing Engineer, Producer - Jimmy Jam, Arranger, Drum Programmer, Drums, Keyboards, Percussion, Vocal Arranger - David Sussman, Engineer - Michael McCary - Terry Lewis, Arranger, Drum Programmer, Drums, Keyboards, Percussion, Synthesizer, Vocal Arranger - Tony Coluccio, Engineer, Programmer - Bryan Loren, Drums, Percussion - Andrae Crouch - Bruce Swedien, Arranger, Drums, Percussion - Sandra Crouch - Bernie Grundman, Mastering Engineer - The Andrae Crouch Sisters - René, Arranger, Drums, Keyboards, Percussion, Synthesizer - Carol Dennis - Jeremy Lubbock, Arranger, Conductor - Jackie Gouche - Brad Buxer, Arranger, Keyboards, Piano, Synthesizer - Peter Morkan, Drum Programmer - Gloria Augustus - Johnny Mandel, Arranger - Andrew Scheps, Drum Programmer - Linda McCrary - George Del Barrio, Arranger - Elmer Bernstein, Conductor, Orchestrator - Jerry Hey, Arranger, Horn - Janet Jackson, Vocal Arranger - Bill Ross, Conductor, Orchestrator - Susie Katayama, Conductor - Slash, Guitar - David Foster, Keyboards, Orchestrator, Piano, Synthesizer - Nile Rodgers, Guitar - Trevor Rabin, Guitar - Paul Jackson Jr., Guitar - Steve Lukather, Guitar - Bill Bottrell, Drums, Guitar, Keyboards, Percussion, Synthesizer - Jeff Mirinov, Guitar - Rob Hoffman, Guitar - Michael Thompson, Guitar - Jen Leigh, Guitar - Steve Thornton, Percussion - Buddy Williams, Drums, Percussion - Simon Franglen, Drums, Keyboards, Percussion, Synthesizer - Chuck Wild, Drums, Keyboards, Percussion, Synthesizer - Bobby Brooks, Drums, Percussion - OMAR HAKIM, Drums, Percussion - Steve Ferrone, Drums, Percussion - Satoshi Tomiie, Keyboards - Joe Moskowitz, Keyboards - Steve Porcaro, Keyboards, Synthesizer - David Paich, Bass, Keyboards, Synthesizer - Greg Phillinganes, Keyboards, Synthesizer - Lafayette Carthon, Keyboards, Synthesizer - Michael Boddicker, Keyboards, Synthesizer - Rob Arbittier, Keyboards, Synthesizer - Gary Adante, Keyboards, Synthesizer - John Barnes, Keyboards, Synthesizer - RANDY WALDMAN, Keyboards, Synthesizer - Big Wright, Organ, Piano - Jonathan Mackey, Piano - The Notorious B.I.G., Rap - Shaquille O'Neal, Rap - Paul Peabody, Violin - Colin Wolfe, Bass - Louis Johnson, Bass - Wayne Pedzwater, Bass - Keith Rouster, Bass - Guy Pratt, Bass - Doug Grigsby, Bass - Larry Williams, Horn - Gary Grant, Horn - Bill Reichenbach, Horn - Kim Hutchcroft, Horn Copyright : (P)1997 MJJ Productions, Inc.
Michael Jackson, Associated Performer, Main Artist, Producer - R. Kelly, Arranger, Keyboards, Synthesizer - M. Jackson, Composer, Lyricist - Bill Bottrell, Drums, Guitar, Keyboards, Percussion, Producer, Synthesizer - Nathan Morris - David Foster, Keyboards, Orchestrator, Piano, Producer, Synthesizer - Wanya Morris - Jimmy Jam, Arranger, Drum Programmer, Drums, Keyboards, Percussion, Vocal Arranger - Shawn Stockman - Terry Lewis, Arranger, Drum Programmer, Drums, Keyboards, Percussion, Synthesizer, Vocal Arranger - Michael McCary - Dallas Austin, Arranger, Keyboards, Synthesizer - Peter Morkan, Drum Programmer - Bryan Loren, Drums, Percussion - Bruce Swedien, Arranger, Drums, Percussion - Andrew Scheps, Drum Programmer - Andrae Crouch - Sandra Crouch - René, Arranger, Drums, Keyboards, Percussion, Synthesizer - The Andrae Crouch Sisters - Jeremy Lubbock, Arranger, Conductor - Carol Dennis - Brad Buxer, Arranger, Keyboards, Piano, Synthesizer - Jackie Gouche - Johnny Mandel, Arranger - Gloria Augustus - George Del Barrio, Arranger - Linda McCrary - Jerry Hey, Arranger, Horn - Elmer Bernstein, Conductor, Orchestrator - Janet Jackson, Vocal Arranger - Bill Ross, Conductor, Orchestrator - Susie Katayama, Conductor - Slash, Guitar - Nile Rodgers, Guitar - Trevor Rabin, Guitar - Paul Jackson Jr., Guitar - Steve Lukather, Guitar - Jeff Mirinov, Guitar - Rob Hoffman, Guitar - Michael Thompson, Guitar - Jen Leigh, Guitar - Buddy Williams, Drums, Percussion - Simon Franglen, Drums, Keyboards, Percussion, Synthesizer - Chuck Wild, Drums, Keyboards, Percussion, Synthesizer - Bobby Brooks, Drums, Percussion - OMAR HAKIM, Drums, Percussion - Steve Ferrone, Drums, Percussion - Steve Porcaro, Keyboards, Synthesizer - David Paich, Bass, Keyboards, Synthesizer - Greg Phillinganes, Keyboards, Synthesizer - Lafayette Carthon, Keyboards, Synthesizer - Michael Boddicker, Keyboards, Synthesizer - Rob Arbittier, Keyboards, Synthesizer - Gary Adante, Keyboards, Synthesizer - John Barnes, Keyboards, Synthesizer - RANDY WALDMAN, Keyboards, Synthesizer - Big Wright, Organ, Piano - Jonathan Mackey, Piano - The Notorious B.I.G., Rap - Shaquille O'Neal, Rap - Paul Peabody, Violin - Colin Wolfe, Bass - Louis Johnson, Bass - Wayne Pedzwater, Bass - Keith Rouster, Bass - Guy Pratt, Bass - Doug Grigsby, Bass - Larry Williams, Horn - Gary Grant, Horn - Bill Reichenbach, Horn - Kim Hutchcroft, Horn Copyright : 1995 MJJ Productions, Inc.
Michael Jackson, Associated Performer, Main Artist, Producer - R. Kelly, Arranger, Composer, Keyboards, Lyricist, Producer, Synthesizer - Nathan Morris - Jimmy Jam, Drum Programmer, Drums, Keyboards, Percussion, Vocal Arranger - Wanya Morris - Terry Lewis, Arranger, Drum Programmer, Drums, Keyboards, Percussion, Synthesizer, Vocal Arranger - Shawn Stockman - Dallas Austin, Arranger, Keyboards, Synthesizer - Peter Morkan, Drum Programmer - Michael McCary - Bruce Swedien, Arranger, Drums, Percussion - Andrew Scheps, Drum Programmer - Bryan Loren, Drums, Percussion - Andrae Crouch - René, Arranger, Drums, Keyboards, Percussion, Synthesizer - Sandra Crouch - Jeremy Lubbock, Arranger, Conductor - The Andrae Crouch Sisters - Brad Buxer, Arranger, Keyboards, Piano, Synthesizer - Carol Dennis - Johnny Mandel, Arranger - Jackie Gouche - George Del Barrio, Arranger - Gloria Augustus - Jerry Hey, Arranger, Horn - Linda McCrary - Janet Jackson, Vocal Arranger - Elmer Bernstein, Conductor, Orchestrator - David Foster, Keyboards, Orchestrator, Piano, Synthesizer - Bill Ross, Conductor, Orchestrator - Susie Katayama, Conductor - Slash, Guitar - Nile Rodgers, Guitar - Trevor Rabin, Guitar - Paul Jackson Jr., Guitar - Steve Lukather, Guitar - Bill Bottrell, Drums, Guitar, Keyboards, Percussion, Synthesizer - Jeff Mirinov, Guitar - Rob Hoffman, Guitar - Michael Thompson, Guitar - Jen Leigh, Guitar - Buddy Williams, Drums, Percussion - Simon Franglen, Drums, Keyboards, Percussion, Synthesizer - Chuck Wild, Drums, Keyboards, Percussion, Synthesizer - Bobby Brooks, Drums, Percussion - OMAR HAKIM, Drums, Percussion - Steve Ferrone, Drums, Percussion - Steve Porcaro, Keyboards, Synthesizer - David Paich, Bass, Keyboards, Synthesizer - Greg Phillinganes, Keyboards, Synthesizer - Lafayette Carthon, Keyboards, Synthesizer - Michael Boddicker, Keyboards, Synthesizer - Rob Arbittier, Keyboards, Synthesizer - Gary Adante, Keyboards, Synthesizer - John Barnes, Keyboards, Synthesizer - RANDY WALDMAN, Keyboards, Synthesizer - Big Wright, Organ, Piano - Jonathan Mackey, Piano - The Notorious B.I.G., Rap - Shaquille O'Neal, Rap - Paul Peabody, Violin - Colin Wolfe, Bass - Louis Johnson, Bass - Wayne Pedzwater, Bass - Keith Rouster, Bass - Guy Pratt, Bass - Doug Grigsby, Bass - Larry Williams, Horn - Gary Grant, Horn - Bill Reichenbach, Horn - Kim Hutchcroft, Horn Copyright : (P 1997 MJJ Productions, Inc.
Michael Jackson, Associated Performer, Main Artist, Producer - R. Kelly, Arranger, Keyboards, Synthesizer - M. Jackson, Composer, Lyricist - Jimmy Jam, Arranger, Drum Programmer, Drums, Keyboards, Percussion, Producer, Vocal Arranger - Nathan Morris - J. Harris III, Composer, Lyricist - Terry Lewis, Arranger, Drum Programmer, Drums, Keyboards, Percussion, Producer, Synthesizer, Vocal Arranger - Wanya Morris - T. Lewis, Composer, Lyricist - Shawn Stockman - Tony Moran, Producer, Re-Mixer - Michael McCary - Bob Rosa, Mixing Engineer, Producer - Tony Coluccio, Engineer, Programmer - Bryan Loren, Drums, Percussion - Andrae Crouch - Sandra Crouch - Bernie Grundman, Mastering Engineer - The Andrae Crouch Sisters - Dallas Austin, Arranger, Keyboards, Synthesizer - Carol Dennis - Bruce Swedien, Arranger, Drums, Percussion - Jackie Gouche - Peter Morkan, Drum Programmer - Gloria Augustus - René, Arranger, Drums, Keyboards, Percussion, Synthesizer - Andrew Scheps, Drum Programmer - Linda McCrary - Jeremy Lubbock, Arranger, Conductor - Elmer Bernstein, Conductor, Orchestrator - Brad Buxer, Arranger, Keyboards, Piano, Synthesizer - Johnny Mandel, Arranger - Bill Ross, Conductor, Orchestrator - George Del Barrio, Arranger - Susie Katayama, Conductor - Jerry Hey, Arranger, Horn - Slash, Guitar - Janet Jackson, Vocal Arranger - Nile Rodgers, Guitar - Trevor Rabin, Guitar - Paul Jackson Jr., Guitar - David Foster, Keyboards, Orchestrator, Piano, Synthesizer - Steve Lukather, Guitar - Bill Bottrell, Drums, Guitar, Keyboards, Percussion, Synthesizer - Jeff Mirinov, Guitar - Rob Hoffman, Guitar - Michael Thompson, Guitar - Jen Leigh, Guitar - Buddy Williams, Drums, Percussion - Simon Franglen, Drums, Keyboards, Percussion, Synthesizer - Chuck Wild, Drums, Keyboards, Percussion, Synthesizer - Bobby Brooks, Drums, Percussion - OMAR HAKIM, Drums, Percussion - Steve Ferrone, Drums, Percussion - Steve Porcaro, Keyboards, Synthesizer - David Paich, Bass, Keyboards, Synthesizer - Greg Phillinganes, Keyboards, Synthesizer - Lafayette Carthon, Keyboards, Synthesizer - Michael Boddicker, Keyboards, Synthesizer - Rob Arbittier, Keyboards, Synthesizer - Gary Adante, Keyboards, Synthesizer - John Barnes, Keyboards, Synthesizer - RANDY WALDMAN, Keyboards, Synthesizer - Big Wright, Organ, Piano - Jonathan Mackey, Piano - Leah Frazier, Associated Performer - The Notorious B.I.G., Rap - Shaquille O'Neal, Rap - Paul Peabody, Violin - Colin Wolfe, Bass - Louis Johnson, Bass - Wayne Pedzwater, Bass - Keith Rouster, Bass - Doug Grigsby, Bass - Guy Pratt, Bass - Larry Williams, Horn - Gary Grant, Horn - Bill Reichenbach, Horn - Kim Hutchcroft, Horn Copyright : (P)1997 MJJ Productions, Inc.
Michael Jackson, Associated Performer, Main Artist, Producer - M.J.Jackson, Composer, Lyricist - F. Jerkins, III, Composer, Lyricist - Rodney Jerkins, Producer - R. Jerkins, Composer, Lyricist - Brandy - L. Daniels, Composer, Lyricist - The Notorious B.I.G., Rap - N. Payne, Composer, Lyricist - Rex Smith, Composer, Lyricist Copyright : (P) 2001 MJJ Productions Inc.
Michael Jackson, Associated Performer, Composer, Lyricist, Main Artist, Producer - Rodney Jerkins, Composer, Lyricist, Mixing Engineer, Producer - Mischke Butler - Fred Jerkins III, Composer, Lyricist - Stuart Brawley, Editor, Mixing Engineer, Recording Engineer - LaShawn Daniels, Composer, Lyricist - Alex Greggs, Editor - Nora Payne - Mischke, Composer, Lyricist - Fabian Marasciullo, Editor - Bruce Swedien, Mixing Engineer, Recording Engineer - Norman Gregg, Composer, Lyricist - Bob Brown, Rap Copyright : (P) 2001 MJJ Productions Inc.
Michael Jackson, Associated Performer, Composer, Lyricist, Main Artist, Producer, Programmer - Rodney Jerkins, Composer, Lyricist, Mixing Engineer, Producer, Programmer - Fred Jerkins III, Composer, Lyricist - Stuart Brawley, Editor, Mixing Engineer, Recording Engineer - Bruce Swedien, Mixing Engineer, Recording Engineer - Fats, Rap - LaShawn Daniels, Composer, Lyricist - Norman Gregg, Composer, Lyricist Copyright : (P) 2001 MJJ Productions Inc.
Michael Jackson, Associated Performer, Composer, Drum Programmer, Main Artist, Producer - Dr. Freeze, Composer, Lyricist, Producer - Michael J. Jackson, Composer, Lyricist - Stuart Brawley, Editor - Harvey Mason, Jr., Editor - Rodney Jerkins, Composer - Humberto Gatica, Mixing Engineer, Recording Engineer - Teddy Riley, Composer, Mixing Engineer - George Mayers, Mixing Engineer, Recording Engineer - Mike Ging, Recording Engineer - Brad Gilderman, Recording Engineer - Dextor Simmons, Recording Engineer - Brad Buxer, Drum Programmer Copyright : (P) 2001 MJJ Productions Inc.
Michael Jackson, Associated Performer, Composer, Lyricist, Main Artist, Producer - Teddy Riley, Composer, Editor, Lyricist, Mixing Engineer, Producer, Recording Engineer - Dr. Freeze - Andreao Heard, Composer, Lyricist - Jeremy Lubbock, Conductor, Orchestrator - Nate Smith, Composer, Lyricist - George Mayers, Editor, Mixing Engineer, Recording Engineer - Bruce Swedien, Mixing Engineer, Recording Engineer - Teron Beal, Composer, Lyricist - Eritza Laues, Composer, Lyricist - Kenny "KQ" Quiller, Composer, Lyricist - Terence Thompson, Composer, Lyricist Copyright : (P) 2001 MJJ Productions Inc.
Michael Jackson, Associated Performer, Main Artist, Producer - Michael J. Jackson, Composer, Lyricist - LaShawn Daniels, Composer, Lyricist - Rodney Jerkins, Composer, Lyricist, Producer - Fred Jerkins III, Composer, Lyricist - Nora Payne, Composer, Lyricist Copyright : (P) 2001 MJJ Productions Inc.
Michael Jackson, Associated Performer, Main Artist, Producer - A. Harris, Composer, Lyricist - Andre Harris, Producer - M. Ambrosius, Composer, Lyricist - Bruce Swedien, Mixing Engineer - Marsha Ambrosius - Norman Jeff Bradshaw, Horn - Matt Cappy, Horn Copyright : (P) 2001 MJJ Productions Inc.
Michael Jackson, Arranger, Associated Performer, Composer, Conductor, Lyricist, Main Artist, Orchestrator, Producer - Stuart Brawley, Editor, Recording Engineer - Jeremy Lubbock, Conductor, Orchestrator - Brad Buxer, Editor, Keyboards, Recording Engineer - Bruce Swedien, Mixing Engineer, Recording Engineer - Peter Kent, Violin - Gina Kronstadt, Violin - Robin Lorentz, Violin - Kirstin Fife, Violin - John Wittenberg, Violin - Novi Novoq, Viola - Thomas Tally, Viola Copyright : (P) 2001 MJJ Productions Inc.
Michael Jackson, Associated Performer, Composer, Lyricist, Main Artist - Teddy Riley, Composer, Editor, Lyricist, Mixing Engineer, Producer, Recording Engineer - Tyrese Gibson, Composer, Lyricist - George Mayers, Editor, Mixing Engineer, Recording Engineer - Bruce Swedien, Mixing Engineer - JaRon Henson, Composer, Lyricist Copyright : (P) 2001 MJJ Productions Inc.
Michael Jackson, Associated Performer, Composer, Lyricist, Main Artist, Producer - Babyface, Acoustic Guitar, Bass Guitar, Composer, Drum Programmer, Keyboards, Lyricist, Producer - Ivy Skoff - Carole Bayer Sager, Composer, Lyricist - Paul Boutin, Engineer - Lynne Fiddmont-Linsey, Associated Performer - John McClain, Composer, Lyricist - TOMMY VICARI, Engineer - Steve Genewick, Assistant Engineer - Jon Gass, Mixing Engineer - Jason Edmonds, Associated Performer - Eq, Mixing Engineer - Bill Meyers, Arranger - Nathan Walton, Associated Performer - Tabia Ivery, Associated Performer Copyright : (P) 2001 MJJ Productions Inc.
Michael Jackson, Associated Performer, Composer, Lyricist, Main Artist, Producer - Rodney Jerkins, Composer, Lyricist, Mixing Engineer, Producer, Recording Engineer - LaShawn Daniels, Composer, Lyricist - Fred Jerkins III, Composer, Lyricist - Harvey Mason, Jr., Editor - Michael Thompson, Guitar - Paul Cruz, Editor - Gerald Hayword, Drums - Bernard Belle, Composer, Lyricist - Emanuel Baker, Drums - Jean-Marie Horvat, Mixing Engineer, Recording Engineer - Nathan East, Bass - Brad Gilderman, Recording Engineer - David Campbell, Arranger Copyright : (P) 2001 MJJ Productions Inc.
Michael Jackson, Associated Performer, Composer, Lyricist, Main Artist, Producer - Teddy Riley, Composer, Editor, Lyricist, Mixing Engineer, Producer, Recording Engineer - Richard Stites - Richard Carlton Stites, Composer, Lyricist - Reed Vertelney, Composer, Lyricist - George Mayers, Editor, Mixing Engineer, Recording Engineer - Bruce Swedien, Mixing Engineer Copyright : (P) 2001 MJJ Productions Inc.
Michael Jackson, Associated Performer, Drum Programmer, Main Artist, Mixing Engineer, Producer - R. Kelly, Composer, Lyricist, Producer - Michael Landau, Guitar - Paulinho Da Costa, Percussion - John Robinson, Drums - MICK GUZAUSKI, Mixing Engineer - Mike Ging, Recording Engineer - Brad Gilderman, Recording Engineer - Humberto Gatica, Recording Engineer - Brad Buxer, Drum Programmer Copyright : (P) 2001 MJJ Productions Inc.
Michael Jackson, Arranger, Associated Performer, Composer, Lyricist, Main Artist, Producer - Stuart Brawley, Editor, Recording Engineer - Brad Buxer, Editor, Recording Engineer - Bruce Swedien, Mixing Engineer, Recording Engineer Copyright : (P) 2001 MJJ Productions Inc.
Michael Jackson, Associated Performer, Composer, Lyricist, Main Artist, Producer - Teddy Riley, Composer, Editor, Lyricist, Mixing Engineer, Producer, Recording Engineer - Gil Cang, Composer, Lyricist - Mario Vasquez - Mary Brown - Jasmine Quay, Composer, Lyricist - George Mayers, Editor, Mixing Engineer, Recording Engineer - Bruce Swedien, Mixing Engineer, Recording Engineer - Jeremy Lubbock, Conductor, Orchestrator - GEOFFREY WILLIAMS, Composer, Lyricist - Carlos Santana, Guitar, Whistles - Rick Williams, Guitar Copyright : (P) 2001 MJJ Productions Inc.
Michael Jackson, Associated Performer, Composer, Lyricist, Main Artist, Producer - Rodney Jerkins, Composer, Lyricist, Mixing Engineer, Producer - Fred Jerkins III, Composer, Lyricist - Stuart Brawley, Editor, Mixing Engineer, Recording Engineer - Bruce Swedien, Mixing Engineer - LaShawn Daniels, Composer, Lyricist Copyright : (P) 2001 MJJ Productions Inc.
Michael Jackson, Associated Performer, Composer, Main Artist - Ricky Lawson, Drums - Don Boylette, Bass - Jennifer Batten, Guitar - Jon Clark, Guitar - Greg Phillinganes, Director, Keyboards - Chris Currell, Keyboards - Rory Kaplan, Keyboards - Sheryl Crow - Kevin Dorsey - Dorian Holley - Darryl Phinnessee Copyright : (P) 2012 MJJ Productions Inc.
Michael Jackson, Associated Performer, Main Artist - Tom Bahler, Composer - Ricky Lawson, Drums - Don Boylette, Bass - Jennifer Batten, Guitar - Jon Clark, Guitar - Greg Phillinganes, Director, Keyboards - Chris Currell, Keyboards - Rory Kaplan, Keyboards - Sheryl Crow - Kevin Dorsey - Dorian Holley - Darryl Phinnessee Copyright : (P) 2012 MJJ Productions Inc.
Michael Jackson, Associated Performer, Main Artist - Berry Gordy, Jr., Composer - Hal Davis, Composer - Alphonso Mizell, Composer - Ricky Lawson, Drums - Don Boylette, Bass - Frederick Perrin, Composer - Willie Hutchison, Composer - Bob West, Composer - Deke Richards, Composer - Jennifer Batten, Guitar - Jon Clark, Guitar - Greg Phillinganes, Director, Keyboards - Chris Currell, Keyboards - Rory Kaplan, Keyboards - Sheryl Crow - Kevin Dorsey - Dorian Holley - Darryl Phinnessee Copyright : (P) 2012 MJJ Productions Inc.
Michael Jackson, Associated Performer, Main Artist - Rod Temperton, Composer - Ricky Lawson, Drums - Don Boylette, Bass - Jennifer Batten, Guitar - Jon Clark, Guitar - Greg Phillinganes, Director, Keyboards - Chris Currell, Keyboards - Rory Kaplan, Keyboards - Sheryl Crow - Kevin Dorsey - Dorian Holley - Darryl Phinnessee Copyright : (P) 2012 MJJ Productions Inc.
Michael Jackson, Associated Performer, Main Artist - Steve Porcaro, Composer - John Bettis, Composer - Ricky Lawson, Drums - Don Boylette, Bass - Jennifer Batten, Guitar - Jon Clark, Guitar - Greg Phillinganes, Director, Keyboards - Chris Currell, Keyboards - Rory Kaplan, Keyboards - Sheryl Crow - Kevin Dorsey - Dorian Holley - Darryl Phinnessee Copyright : (P) 2012 MJJ Productions Inc.
Michael Jackson, Associated Performer, Main Artist - Siedah Garrett, Composer - Glen Ballard, Composer - Ricky Lawson, Drums - Don Boylette, Bass - Jennifer Batten, Guitar - Jon Clark, Guitar - Greg Phillinganes, Director, Keyboards - Chris Currell, Keyboards - Rory Kaplan, Keyboards - Sheryl Crow - Kevin Dorsey - Dorian Holley - Darryl Phinnessee Copyright : (P) 2012 MJJ Productions Inc.